Equity has been an important part of the conversation in The Kresge Foundation boardroom since I joined the board in 2004. As I look back, I find that as trustees we have not been outwardly vocal about equity, but it has indeed – in my recollection – always played a central role as we determine how best to fulfill our duties. All the while, foundation staff have gravitated with determination to address equity as a core principle and have demonstrated that in their fine work, day in and day out. As we consider the environment today in which federal, state and local policy decisions traced to race, gender, ethnicity and sexuality continue to deepen disparities in health, wealth, education and safety, I feel compelled to declare where our board stands and to discuss our work and how it matters. Kresge’s focus and reach have completely transformed since I joined the board. For the 80 years following Sebastian S. Kresge’s generous mandate to “promote human progress,” the foundation issued capital challenge grants to help countless institutions and organizations across the U.S. build and expand their physical plants to serve public needs such as health care services, education and the arts. In the mid-2000s, we began using our resources in much more direct ways. Today’s work is incredibly complex and intricate, fully aimed at tearing down barriers and replacing them with enablers that increase opportunities for people to enter and thrive in the economic mainstream. Although still firmly seeded in our founder’s mission, this new way of working forced our trustees — willingly — to establish a framework to ensure that each of the hundreds of unique grants and investments awarded by the foundation each year is keenly focused on an overarching goal. As this strategy was taking shape, our reflections and deliberations were difficult: We knew the vision we sought would take time, involve risk and test every facet of the organization. 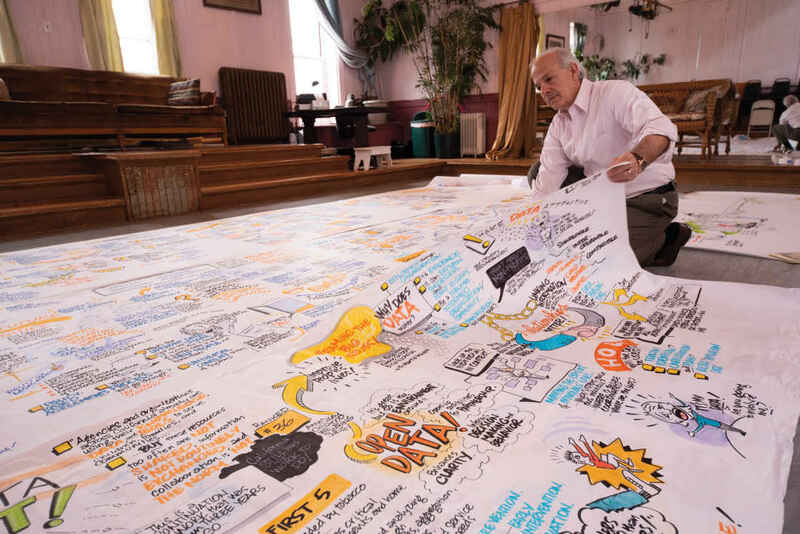 Through much individual and group soul-searching, guided by our incredibly insightful President and CEO, Rip Rapson, the board adopted the “urban opportunity framework” as our north star. It was — and remains — rooted in the aspiration that American cities grow more inclusively so that disparities among their residents are eliminated and all have full access to the building blocks of just and equitable life opportunities. More simply: to expand opportunity for people with low incomes in America’s cities. To consider our framework is to deal head-on with issues of equity. We constantly ask ourselves how we might demonstrate our commitment to help ensure that status at birth does not equal destiny. 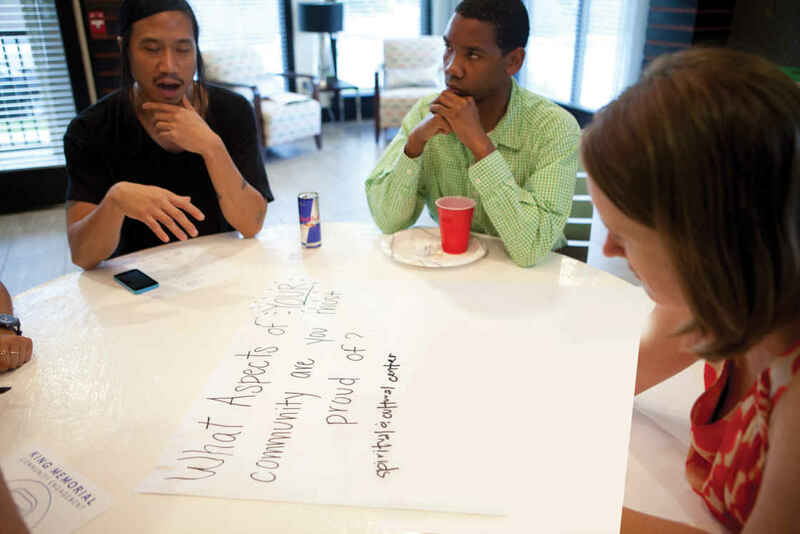 We ask how we might support our grantees as they confront bias and constraint. And we ask each other if we are truly advancing equity. The lived experience of inequality in our country is well documented. Take, for example, practices such as redlining, which contributed significantly to persistent racial wealth gaps. Generations of African Americans seeking home ownership were blocked from receiving federally backed loans and experienced restricted neighborhood choice. In Detroit, Cleveland, Baltimore, Philadelphia and countless cities across the country, African American families were prohibited from obtaining loans to improve their homes. They were also restricted from buying or building homes in flourishing communities while their white neighbors fled to newly built residences on spacious lots surrounded by schools with better resources and modern suburban shopping districts. A decade earlier, following Pearl Harbor, more than 100,000 Japanese Americans were held at internment camps based on unfounded fear that they were a risk to national security. These heinous actions, and thousands more, were intended to wall off entire populations. Acts of similar intent and spirit continue today. Such patterns of inequality are abhorrent and self-defeating. “Connecting the Dots,” which brings to life an innovative partnership of data sharing among six health and human service providers, powering them to provide clients access to health care, housing, education, employment and other assistance in the same visit. 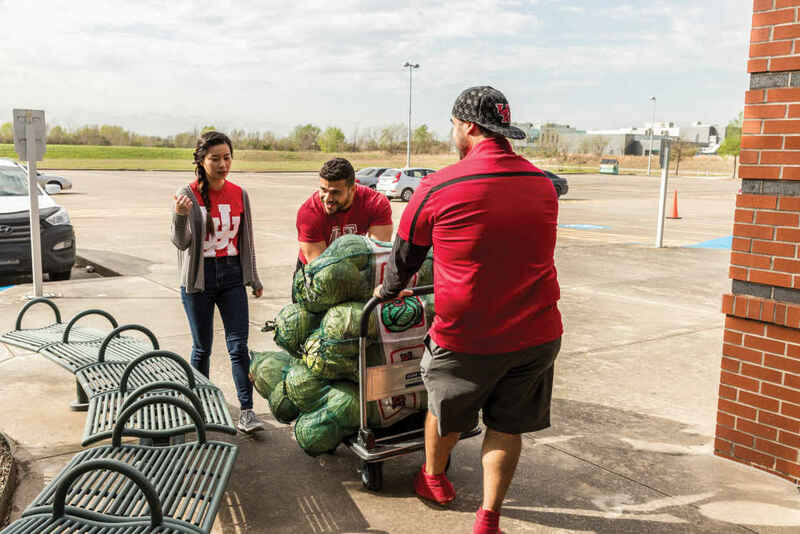 “Food and Housing Insecurity – in College” describes the ways our Education and Human Services programs are collaborating to further student success by understanding and addressing student hunger and homelessness. “A Rising Tide of Climate Resilience” illustrates how climate-adaption and preparedness solutions are coming directly from residents most affected by climate-induced extreme weather — partly through Creative Placemaking activities — in New Orleans, a city on the front lines of a warming world. Addressing systemic barriers to opportunity — deliberately and over the long term — is the challenge and objective of many fine philanthropic organizations that seek a more just and equitable society. We are a small part, but to us it is a crucial tenet of our responsibility, and it is unimaginable to do otherwise. As trustees of this organization, we have been entrusted with an incredible sum and responsibility. Driving change in America’s cities is the strategic focus toward which we persevere. But at the very core of this work is the desire to confront the systemic inequality that pervades almost every corner of every community. Fourteen years as a Kresge trustee have taught me that a strong and sustained focus on equity always has been — and must always be — a central measure of our success. We were delighted to welcome Kathy Ko Chin and Cecilia Muñoz to the Kresge Board of Trustees in 2017. In just a few months, Kathy, who serves as the president and CEO of the Asian & Pacific Islander American Health Forum, and Cecilia, who serves as vice president of Public Interest Technology and Local Initiatives at New America, have demonstrated their tight alignment to the foundation’s strategic direction. Both have made it their life’s work to find solutions to the most pressing challenges affecting our democracy and the people most impacted, and we are delighted that they have chosen to bring that perspective to Kresge’s work. The Kresge Foundation seeks to advance opportunities for low-income people in America’s cities. That commitment stems from the belief that the challenges confronting cities — deepening racial fault lines, stagnant economic mobility, accelerating climate change, severe disparities in educational and health outcomes, calcified patterns of neighborhood disinvestment — interact and intertwine to fence off meaningful opportunity for far too many people. For more than 80 years, the foundation provided challenge grants for capital projects. Some 12 years ago, we began a pivot away from that approach — a pivot born of a conversation between our trustees Elaine Rosen and Lee Bollinger, who were co-chairing the board’s search for a successor to our distinguished and long-serving president John Marshall. After a first round of candidate interviews, Lee turned to Elaine to suggest that the foundation needed to elevate its aspirations — to migrate from practices that had become narrow and calcified toward approaches that held promise of penetrating the defining issues of our time. In a word, Lee suggested that we look to Russell and “hang a question mark” on both what we took aim at and how. We began by establishing six programmatic areas and retooling every dimension of support necessary to operationalize them — human resources, finance, communications, grants management and otherwise. From the outset, we committed to four principles: taking an integrative, long-term view; embracing risks commensurate with the magnitude of the challenges we sought to address; developing a more complete toolbox; and addressing the root causes of disparities facing low-income people. Talk about hanging a question mark. To answer the question, we had to identify what unified our work — what principle could and should animate every part of the organization. The answer around which we coalesced was urban opportunity: using the full spectrum of the foundation’s resources to pursue the dismantling of the structural obstacles to equitable opportunity in American cities. We would create in their place pathways to full participation in the social and economic mainstream. The implications of crystallizing our aspirations in these terms was both straightforward and multifaceted. On one hand, each of our programs and the Social Investment Practice would be defined by their progress in reducing urban disparities. On the other hand, the interbraided nature of those disparities required an interbraided set of responses. We accordingly took three fundamental steps. First, we created an American Cities Practice to arc across our six program teams and thread through them, identifying investment, convening, research and other approaches to take aim at enhancing structures of urban opportunity across America. Second, we elevated the centrality of our Social Investment Practice. Rather than standing apart as a separate node of activities, it would work hand-in-glove with the program teams to develop investment instruments advancing those teams’ priorities. And third, we underscored the desirability — indeed, the necessity — of working across disciplines. Just as people in cities don’t live their lives in vertical silos, neither could Kresge rely exclusively on hermetically sealed vertical funding silos. These three changes added up to a reverse-engineering form of problem-solving — deconstructing a challenge and its underlying drivers so as to assemble the appropriate combination of disciplinary strategies, talents and funding tools in correct doses at the right cadence. Each challenge requires that we hang a different set of question marks — that we take a different perspective. I invite you to spend time with the remainder of this report to see some compelling examples of this approach. Breaking from our safe and secure moorings has never been more important than in the current environment. In the wake of the November 2016 election, Kresge has been forced to look inward, to interrogate our values. We stand for the pursuit of truth — not for fealty to the indefensible or depreciation of reasoned discourse. We stand for opportunity structures that dismantle the persistent and pervasive racial, economic and political barriers that impede pathways to equality and justice — not for the enshrinement of those barriers in public policy ... in the perpetuation of racial and ethnic division ... or in the corrosion of compassion for the least fortunate among us. We stand for the stewardship of our shared destiny and the promotion of structures of mutual support — not for a machinery of feigned outrage and continual vilification that undermines confidence in our most fundamental democratic institutions. We stand for the power of creative problem-solving that calls on community wisdom, intergenerational exchange and respect for difference — not for the comfort of facile judgments, bombastic certitude and rhetorical hyperbole about complex, interbraided problems. We stand for the embrace of every individual’s inherent dignity, worth and decency — not for a denigration of those whose skin pigment, gender, physical conditions, sexual orientation or faith differs from our own. And we stand for an abiding optimism about the possibilities of the human spirit — not for the dismal brew of a calculating and cruel cynicism placed in service of self-advancement. Those are our values. But the true test of those values is how we behave when they come under assault. In those cases, we intend to be guided by three ethical imperatives of action. It’s understandable for community workers, nonprofit organizations and philanthropists to question whether their voices matter in an environment saturated with misinformation. Generated with calculating precision and distributed with bot-powered efficiency, wave upon wave of social media fictions and public distortions create an intellectual flotsam and jetsam intended to obscure the real issues of the day. It is imperative that we not be distracted, let alone silenced, by these diversionary feints. Our collective voices do matter — enormously. More than ever, we must encourage our partners to give voice to their values — our values — for a just and humane society. We must continue to tell the stories of ordinary people and exceptional organizations working in dignity to improve the economic, social and political conditions of community life. In the surfacing and amplification of those stories, we deny the power of an insidious, nascent sense of defeatism to smother authenticity and conviction. Second, we must create space to demonstrate our courage. Libraries, community centers, social service agencies, places of worship and countless other places of public gathering and sanctuary already play a central role in safeguarding individual and group expression and in affirming the power of informal networks of mutual assistance. Their importance will only grow as threatened and disempowered communities look for physical, spiritual and emotional safe harbor and support. We need to fortify these and other parts of the civic membrane that enable us to hold acts of courage. These are the organizations closest to those most affected by injustice. They are vehicles to amplify community voice and build community agency. As the demands on them multiply, we must support them generously and without hesitation. Third, we need to forge alliances around the nonnegotiable. That the machinery of public decision-making must be calibrated to ensure that city residents have full agency not only to engage in, but also shape, the policies, practices and investments that create the map of neighborhood life. That every city in America must play a role in, and reap the benefits of, the evolution of equitable, inclusive regional growth and prosperity. That the arts can refract the infinite varieties of creativity and cultural identity into a kaleidoscope of community-building possibilities. That moving upstream to eradicate the social, economic and environmental determinants of health disparities is an essential predicate of our nation’s approach to public health. That the work of human-serving organizations needs to be recognized as moving beyond charity to providing the essential supports that families require to achieve economic mobility and social well-being. 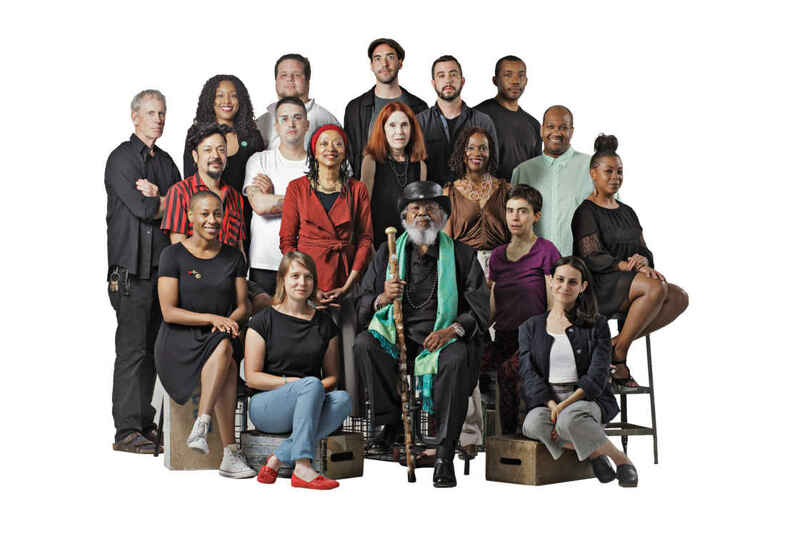 Institutions like Kresge must accordingly recommit to ensuring that individuals, organizations and movements possess the tools they need to organize and mobilize, to educate and advocate, to rebuild social capital and strengthen citizen-based problem-solving. Our concepts of risk and safety have been turned on their head. Acts that were once risky are now elementary and insufficient. Fundamental democratic norms that were once safe are too often trivialized as transitory or out of touch. I choose, however, to view this moment as a time to adjust our perspective, not to make our peace with a new normal. It is a time to reassess, recalibrate and recommit. The nonprofit and philanthropic sectors have spent decades trying to create and assemble enduring and resilient building blocks of opportunity and justice. Although that architecture is still incomplete, we have nevertheless created a complex, dynamic and durable infrastructure to fit together those building blocks in an increasingly coherent, impactful way. This is no time to put down our trowels and mortar. We need to keep building and rebuilding. Even when the building inspector tells us we don’t have a permit — even when the demolition crew drives onto the site. My father was an architect and a planner. In this climate, we all need to be. We all need to take a stand for our values and fortify the architecture of opportunity and justice. 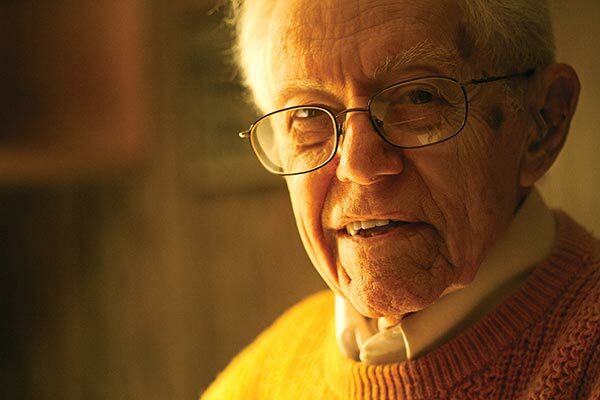 For nearly a century, through changing times and shifting political tides, The Kresge Foundation has continually adjusted our perspective and recommitted to carrying out Sebastian Kresge’s directive to promote human progress. Today, that commitment is deeper than ever. By hanging a question mark on how we do our work, we open new possibilities for the ways we fulfill that commitment. These challenges aren’t going away any time soon. The 2016 election and its aftermath have challenged core American values — and so, too, Kresge’s mission. Representing something altogether different from the normal rhythms of political change and party factionalism, these consequences have come not just in the form of hateful rhetoric and policy out of Washington — but also in the fraying of social fabric and norms of decency throughout the country. And yet, we have been inspired by partners who have stood up in the past year through social movements of profound breadth and impact. By nonprofits that have stretched themselves creatively, empathetically and inexhaustibly on behalf of those they serve. By private citizens who have shown up at airports, at marches, in courts and at town halls to be heard and offer solidarity and support to friends, neighbors and strangers alike. By public figures, religious leaders and even CEOs who have taken real personal risk to call out bigotry when they see it. But philanthropy — which so prides itself on risk-taking, mission-orientation and a commitment to serve others — does not, and must not, get a pass. In that spirit, immediately following the 2016 election, the Kresge Board of Trustees broke new ground in approving a multimillion-dollar increase in our 2017 grantmaking budget. In particular, we created an Opportunity Fund to help the foundation respond to the unprecedented challenges of this troubled time, and to address likely threats to our core values as an institution. Very simply, the intent was to create a funding vehicle for Kresge to do what so many of our partners have done over the past year: step up in an entirely new way. The Opportunity Fund represents a new structure for Kresge: a pool of flexible, responsive funding that can be deployed to enliven and protect core values; to take aim at cross-cutting priorities that no one program team could address directly; to uncover our blind spots as an organization, highlighting communities and issues that require far greater attention; and to serve as an incubator for our local and national work. In practice, it allowed us to marry our words to action in 2017. As we spoke out with ever greater vigor about challenges to core American values and Kresge commitments — from the United States’ withdrawal from the Paris climate agreement to the administration’s appalling false equivalencies after Charlottesville — we simultaneously pushed ourselves into new areas of work and forms of funding to better and more directly support those commitments. Vera Institute of Justice’s legal support to immigrants and asylum seekers facing deportation, in partnership with cities around the country. On behalf of the Opportunity Fund team and the entire foundation, I am proud to stand alongside so many partners who have spoken out, who are doing the difficult day-to-day work, who are facing threats head-on and who are demonstrating tremendous organizational and individual courage. The Opportunity Fund embodies Kresge’s cross-disciplinary way of working and our commitment to the principle of “opportunity.” Our members represent the broad diversity of our staff. We have sought to draw from the full spectrum of the foundation’s expertise, to partner with peer funders to invest wisely and unlock even more responsive resources and to push our own comfort level with, at times, challenging topics and tools for social change. And so, beyond creating a new responsive capacity at Kresge, the Opportunity Fund has helped build our institutional muscle for — and comfort with — addressing issues that we might have shied away from in the past, but which are essential to confront if we are truly committed to “opportunity” as the fulcrum of our mission. Kresge is under no illusions: Ours is but one minor voice, and our reach is deeply limited. But we are committed to showing up, to speaking out, and to affirming and supporting nonprofits that are leading the charge for positive change in this difficult moment for our country. Our primary investment objective is to preserve and grow our endowment by generating returns greater than our spending on grants, social investments, administrative costs and inflation. We believe measuring our performance over market cycles of at least five years is appropriate. For the five-year period ending Dec. 31, 2017, the endowment has returned 9.5 percent annually, well ahead of our spending-plus-inflation target of 6.9 percent annually. In 2017, the Board of Trustees approved 510 grants totaling $144.2 million. In addition, we made 22 social investment commitments totaling $51.7 million to organizations whose efforts support our goals through program-related investments. Or tap on a chart segment. 22 New Commitments through our Social Investment Practice in 2017 totaling $51.7 million. Promoting and fostering cross-team work at the foundation, Chris Kabel supports the development of interdisciplinary grantmaking and investment approaches that advance the strategies of multiple Kresge programs. In recent years, philanthropy has called for greater collaboration among nonprofit and public-sector partners, cutting across disciplines — the rationale being that no one organization working in isolation can hope to make significant progress against the complex challenges we jointly aim to address. Yet how many foundations practice what they preach when it comes to cross-sector partnership within their own institutions? Most organize their work vertically within fields of practice, attempting to fix longstanding challenges along parallel paths. Doing so certainly carries advantages — foundations can recruit talent with deep expertise in particular sectors, building relationships and credibility among those they seek to influence and uncovering the nuances and leverage points required to achieve their goals. However, people do not live their lives in the ways that most foundations organize themselves internally. In fact, people constantly navigate multiple, interconnected systems — from education, transportation and employment to health, housing and human services — that shape their opportunities. As a result, communities have a more holistic understanding of their challenges and solutions than many of the organizations dedicated to supporting them. Philanthropy has a responsibility to respond accordingly. After The Kresge Foundation transitioned to a strategic philanthropy approach about a decade ago, we found that a single programmatic lens was increasingly insufficient to realize our full potential to positively affect long-standing challenges whose roots are structurally interconnected. Beginning in 2011, program officers and managing directors started to explore opportunities to structure grants that would advance the strategies of multiple Kresge programs and pooled resources on cross-disciplinary projects. An internal “Good Pitch” competition to generate ideas for grants that addressed multiple program priorities. As with any organizational change effort, some aspects worked better than others. While program staff responded strongly to the cross-team incentive fund, “Good Pitch” was discontinued after two rounds. These internal changes contributed to a level of cross-team collaboration that is now a part of our operational DNA. In 2013, only 3 percent of Kresge’s annual grantmaking involved contributions from multiple teams; by 2017, this proportion had risen to more than 16 percent — a high of 74 cross-team grants. Joint program support for a project or to a single grantee: By far the most prevalent method of cross-team grantmaking, partnering on an individual project grant is typically initiated by staff who recognize the relevance of the work to their strategy and to that of another program in the foundation. Multiple program investments in a single place: While Kresge currently funds work in more than 230 cities, we have designated three priority cities to intentionally layer investments — Detroit, Michigan; Memphis, Tennessee; and New Orleans, Louisiana. Our commitment to these cities’ recovery has required a multidisciplinary approach and almost every Kresge program has active grants in these communities. Kresge has spent years building relationships in these three cities, which has led to new opportunities to invest across programs. Multiple investments in topics of shared concern among each program and practice: Kresge has invested in topics and sectors that do not fall neatly into one of our six program areas, but which affect our ability to achieve multiple program goals. Examples include healthy and affordable housing, early childhood development and improving outcomes for boys and men of color. Our work is richer and more responsive because of our ability to blend disciplines. Multisite, multiteam, multipartner initiatives: Multisite initiatives enable several Kresge teams to contribute to the design of major philanthropic investments to both improve community outcomes and influence fields of practice. In most cases, these interdisciplinary initiatives leverage other funding partners, which in turn magnifies the impact of Kresge’s investment. 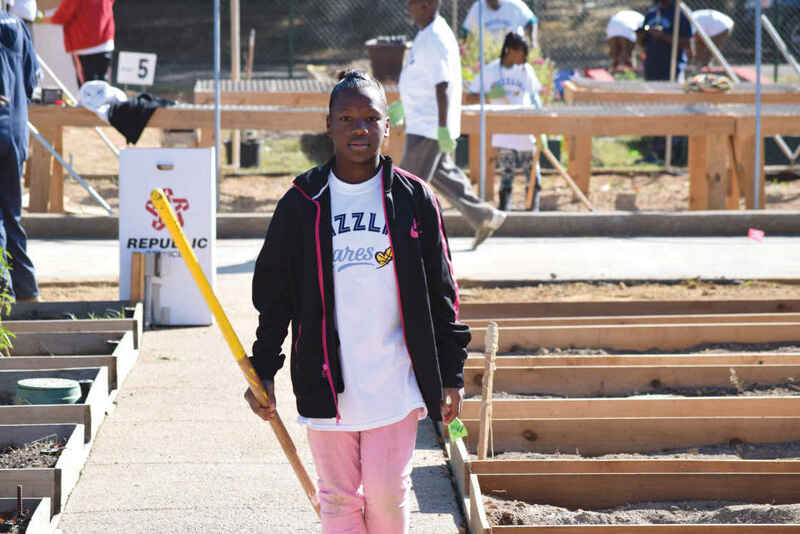 Examples include the Strong, Prosperous and Resilient Communities Challenge (SPARCC) and Fresh, Local and Equitable: Food as a Platform for Creative Neighborhood Revitalization (FreshLo); both are featured in this annual report. While the growth of Kresge’s cross-team grantmaking has been significant, grants are only one indicator of how this cross-disciplinary thinking is taking root inside the organization. There are many ways in which the unique perspectives of various Kresge program staff positively influence these investments in more subtle ways. For instance, in this report, Kresge Vice President and Chief Strategy Officer Ariel H. Simon describes the emergence of the Opportunity Fund, which has been shaped by the perspectives of staff from multiple departments within the foundation. The foundation’s work in Memphis, as discussed later in the report, also exemplifies our multidisciplinary ethos. In April 2017, Kresge launched an opportunity for nonprofits in Memphis to apply directly for funding with an emphasis on work that addresses more than one foundation program priority. It is rare for a national funder to create such a broad open funding opportunity in a specific city. But the response was overwhelming, with more than 100 applicants. 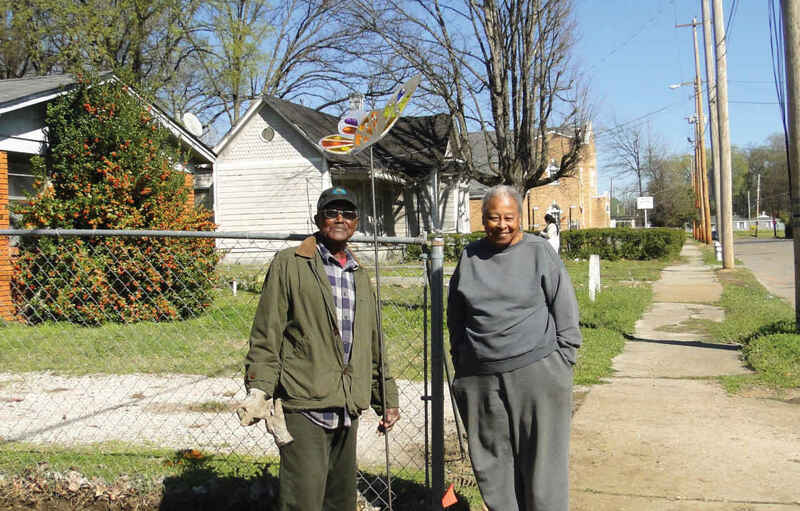 Ultimately, we funded 11 community-driven efforts in Memphis, including a project spearheaded by Neighborhood Preservation Inc. that was funded jointly by the American Cities Practice and the Health Program. Neighborhood Preservation is featured in this report. Our ability to respond to community priorities in a multi-disciplinary manner has been enhanced by the evolution of strategic priorities within each Kresge program. For example, in 2015, the Education Program introduced the Aligning and Strengthening Urban Higher Education Ecosystems focus area, recognizing that the success of both first-generation and historically underrepresented college students is shaped by factors that exist beyond the college campus, such as stable housing and reliable transportation. The foundation’s work in this focus area has opened new opportunities for other Kresge programs to collaborate with the Education team, as described in the report. Similarly, the Arts & Culture Program, which aims to embed Creative Placemaking within comprehensive community development, regularly engages other Kresge programs. 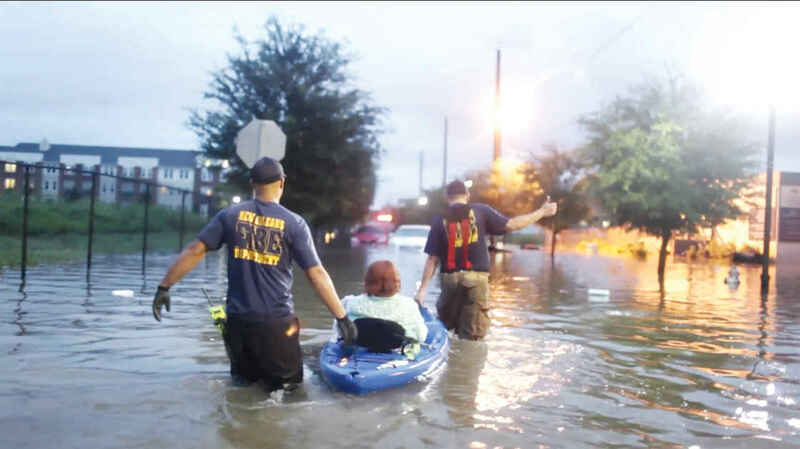 A good example is the team’s partnership with the Environment Program around climate change in New Orleans, as brought to life in the story, “A Rising Tide of Climate Resilience,” in this report. Working across every program team, Kresge’s Social Investment Practice aims to identify ways in which multiple forms of capital can achieve program goals, which by its nature is a multidisciplinary approach. We believe that this kind of integration will increase our impact on issues and in places. Kresge is among several foundations increasingly investing at the intersections of multiple programmatic perspectives. As such, we feel a responsibility to examine our practices and to share what we are learning with the field. To that end, we have engaged a third-party firm to conduct an evaluation of our cross-team work, explore whether and how cross-team grantmaking enables our grantees to achieve a bigger impact, and share those lessons with our peers and partners. We will do this as we continue to explore new ways to deploy our unique mix of resources — intellectual, financial, network and social — to expand opportunity in America’s cities. I invite you to join and learn with us on this journey. Neighborhood Preservation Inc. (NPI) and Knowledge Quest are among 10 Memphis, Tennessee, organizations to be awarded a total of $1.3 million in grants by The Kresge Foundation in a 2017 open call for proposals to boost opportunity for city residents with low incomes. The open call was one part of a broader acceleration of Kresge investments in Memphis, where the foundation helps support neighborhood nonprofits and citywide community development organizations and intermediaries across sectors. 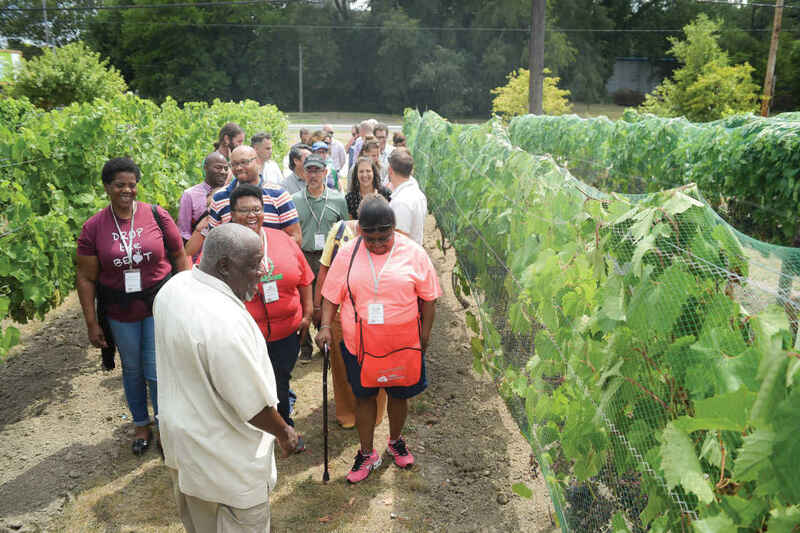 Since 2014, Kresge has contributed $6.6 million ($3 million in social investments and $3.6 million in grants) to spur economic and community development in Memphis. Multiple Kresge teams in a variety of disciplines collaborated to provide the funding. “We seek to serve as a supportive philanthropic partner to Memphis nonprofits, public-sector leaders and local philanthropy,” Rush says. “We support both citywide organizations and those driving positive change in neighborhoods. Carnes Garden is a community learning garden in the Carnes-Galloway neighborhood of Memphis — a major strategic priority for Neighborhood Preservation Inc.
Kresge’s work in Memphis exemplifies the ways the foundation works across programs and disciplines, with grantmaking that involves Health, Human Services, Arts & Culture and Education, along with Social Investments, to promote a geography of opportunity in the city. It has been a 20-year journey for Knowledge Quest, but a short one for founder and Executive Director Marlon Foster. Born and raised in South Memphis, he went to LeMoyne-Owen College. After college, he spurned job offers outside the city because he wanted to start a business in the neighborhood where he grew up. The result was Knowledge Quest, a youth-centered organization serving some of the most poverty-stricken ZIP codes in Memphis. Knowledge Quest’s Green Leaf Learning Farm operates as a certified USDA organic farm. “My friends told me I turned into a social worker, but I said I was a social entrepreneur,” he says. 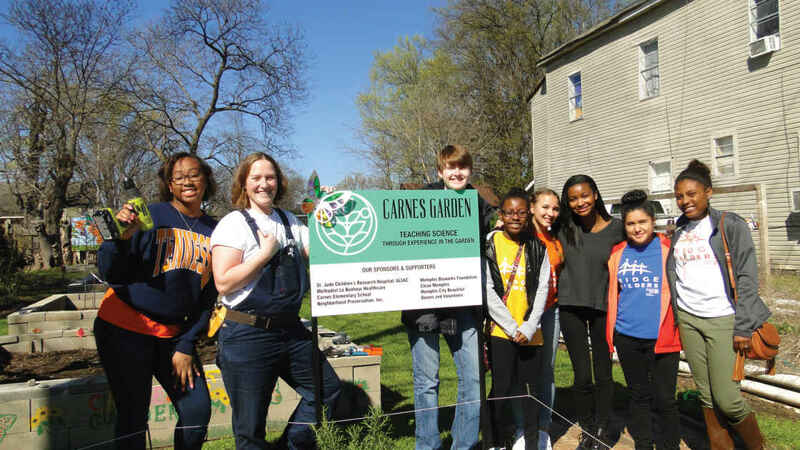 Knowledge Quest has evolved from a few after-school programs to a 3-acre main campus centered on urban agriculture and two off-campus locations with ancillary programs — all in a neighborhood cited five years ago as one of the United States’ most dangerous. An idea from a teacher “who wanted kids to know where food comes from” led to Knowledge Quest’s emphasis on nutrition and gave birth to the Green Leaf Learning urban micro-farm. It began when Foster offered to cut the grass on an overgrown lot in exchange for permission to plant vegetables there. Knowledge Quest teaches students about growing food in ways that build community and increase access to healthy foods. Now owned by Knowledge Quest, that first lot features 44 seedbeds, a pavilion, a compost bin, a climate-controlled greenhouse and a worm farm. Next door, three abandoned buildings are being repurposed; there’s also an orchard nearby. Meanwhile, Knowledge Quest continues its after-school offerings, a program supporting families at risk of becoming homeless or displaced, a Universal Parenting Place with resources to address behavioral issues early in a child’s development, and the Jay Uiberall Culinary Academy, where high school students train with guest chefs. “Everything is related to Green Leaf,” Foster says. “We were typecast as a youth development organization, but to me, it was community development, taking our highest and best asset — our children — and building community development around their own development. Neighborhood Preservation Inc. makes engaging the community a priority in its revitalization efforts. The master plan foresees an expansion of the Green Leaf Learning Farm, construction of the Residences of Green Leaf, an apiary, street festivals and a park with an experiential playground. About 3 miles north, NPI President Steve Barlow is in a brainstorming session to plot next steps in the organization’s fight to rid the city of blight. During the past years, urban neighborhoods experienced epic out-migration of 170,000 people as the city’s land area grew from 208 to 323 square miles. The dimensions of the problem are staggering: 30,000 vacant residential lots, 12,500 vacant houses and 2,500 vacant apartment units. Barlow’s methodical systems approach has attracted people from across the city to share in a framework for action. “What we’ve been doing as a policy organization is to get a much better understanding of neighborhood housing and commercial markets that appear to have opportunities for revitalization and strengthening,” Barlow says. To that end, NPI’s work is built around four priorities: assembling data about blighted properties with the Memphis Policy Map that, for the first time, quantifies the problem in detail; community engagement so Memphians are essential partners in resolving blighted properties; reclaiming and reusing vacant land and abandoned houses; and improving code enforcement so there is a standard of property maintenance that is consistent. Barlow’s appointment as NPI president stemmed from his work as a lawyer specializing in blight-related problems. He filed Memphis’ first lawsuit using a new Tennessee law, the Neighborhood Preservation Act. In 2012, he and business leaders formed NPI to act as the court-ordered receiver of blighted properties with absentee owners. The 23-page charter became a call to arms for Memphis and created new momentum for change. “We reached a point as a city where we had gotten so big and had so much empty land in so many neighborhoods that almost everybody understood that addressing blight was important to their quality of life, their home values, their kids staying here, the likelihood of business locating here and existing businesses staying here,” Barlow says. Most of all, the charter became the umbrella under which each nonprofit working on blight issues could gather. “Our goal was that the charter was the place where all ideas came together and was based on us staying connected, communicating and talking about what we were each doing and where to go first, and where it makes sense to intervene, where to stabilize, where to invest and where the market can be the market,” Barlow says. “We want to help strategic approaches get deployed as a result of neighborhood-based strategic thinking. Barlow says Kresge has connected NPI to people and good practices around the U.S. He also took inspiration from a 2016 speech Kresge President and CEO Rip Rapson delivered in Memphis. 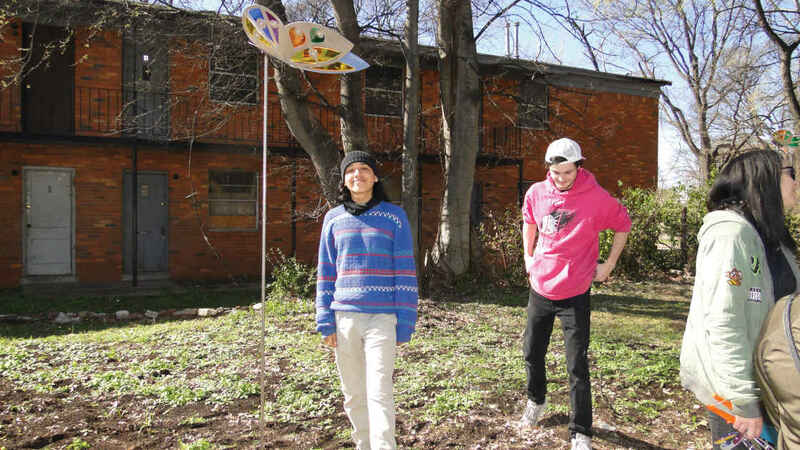 More than 100 butterfly sculptures installed in 2017 brighten the neighborhood around Carnes Community Garden in Memphis. Kresge also influenced local thinking about blight and how to reimagine city assets such as Memphis’ riverfront, parks and other public places. Kresge’s Rush says the foundation’s focus in Memphis is to improve systems with “backbone infrastructure” like NPI, while supporting neighborhood-level community development such as Knowledge Quest. It’s turning out to be a powerful recipe for community development change in Memphis. Throughout our nation’s history, cities have served as the epicenters and vanguards of social and economic change in the United States. We strongly believe that America’s urban centers have potential to be accelerators of opportunity for people with low incomes, providing residents with access to jobs, education, housing, human-serving systems, city services and quality public spaces. We are also of the belief that our investment approach — working with local partners and Kresge counterparts with disciplines different from our own — only propels us closer to promoting positive change for cities and the people who live in them. Kresge’s American Cities Practice is committed to supporting positive transformation in our cities and we center our grantmaking around achieving this vision. Crystalizing the objectives, partnership structure and workplan of the second iteration of our Drawing on Detroit platform. The project pulls together the Brookings Institution’s Metropolitan Policy Program, the Urban Institute, Living Cities and Kresge into a multiyear process that will connect municipal leaders, philanthropy and national policy organizations in local and regional conversations designed to identify the tools of greatest value in promoting inclusive economic growth. This initiative builds on our earlier efforts to share the lessons we have learned from Detroit with cities across the country. In its inaugural year in 2016, the American Cities Practice cohered around a cross-team, cross-discipline mode of working. This past year we saw that foundational work pays higher dividends as evidenced by the high-impact community development and practice work of our grantee partners. In many low-income neighborhoods, it’s easier to buy a Big Mac than a head of lettuce. Residents of neighborhoods without access to fresh, affordable food suffer high rates of preventable disease and die earlier — by decades — than those in more affluent areas. Investing in local food systems not only boosts access to quality foods and improves health, but can build community and jump-start inclusive economic growth. Neighborhoods become more vibrant and cohesive. That’s the goal of Fresh, Local and Equitable (FreshLo), a joint initiative of The Kresge Foundation’s Arts & Culture and Health programs. Launched in 2016, FreshLo supports neighborhood-scale food-oriented development projects — from gardens and incubator kitchens to community markets, while engaging residents through Creative Placemaking, or the integration of arts, culture and community-engaged design into development and planning. In Louisiana, a FreshLo grant is helping support a neighborhood teaching kitchen as part of a community resource center. FreshLo stands for Fresh, Local and Equitable, The Kresge Foundation initiative designed to help grantees implement neighborhoodscale projects that increase equitable economic opportunity and improve health outcomes for residents. In 2016, Kresge awarded FreshLo planning grants to partners in 26 communities, and in late 2017, selected 23 of them for two-year implementation grants. But “Naming it, and including creative expression in the program design,” is part of what makes FreshLo unique, Hernandez adds. The urgent need for this work was evident from the start, says Stacey Barbas, senior program officer for the Health team at Kresge. In fact, the more than 500 applications for FreshLo funding set a Kresge record for responses. FreshLo’s grantmaking process involved grantee organizations and area residents every step of the way. During the planning phase, grantees were able to dive deeply into local issues and to empower residents to design projects that reflect community priorities. That’s because FreshLo grantees were encouraged to tailor their projects to residents’ concerns rather than adhere to rigid funding guidelines. Grantees even helped design their own evaluations, enabling them to set benchmarks and define success on their own terms. Kresge staff and consultants provided intensive support throughout this phase. FreshLo supports organizations and neighborhoods that have long been overlooked by national foundations — neighborhoods like the South Side of Billings, Montana, for one. Located literally on the other side of the tracks from Billings’ more prosperous downtown, the historic South Side is on the rebound after years of neglect. Burned-out buildings dot its potholed streets, and food and other necessities are scarce. The last remaining grocery store closed in 2013. Looking for solutions, the Healthy by Design coalition — which includes RiverStone Health and Yellowstone County’s health department — applied for and won a FreshLo planning grant to improve food access while revitalizing the South Side. Above, grantees from Kresge’s FreshLo initiative participate in a convening in Cleveland, Ohio. “The Kresge planning grant enabled us to spend a year listening — asking residents what would make the neighborhood healthier and more vibrant,” says Healthy by Design’s Community Health Improvement Manager Melissa Henderson. Henderson and her colleagues went into the community — to the senior center, middle school, bus stops and mobile home parks. They showed residents a visual display of possible neighborhood improvements and gave each one a few pinto beans to vote on priorities. When the votes were tallied, the winners included a grocery store, community gardens and a campaign to build neighborhood pride. Those plans are barreling ahead with the help of a Kresge implementation grant that followed the planning phase. One working group is exploring options for a grocery store. Another is launching community gardening efforts. The coalition is also working with incarcerated women to increase production in their therapy garden and distribute the bounty to South Side residents in need. 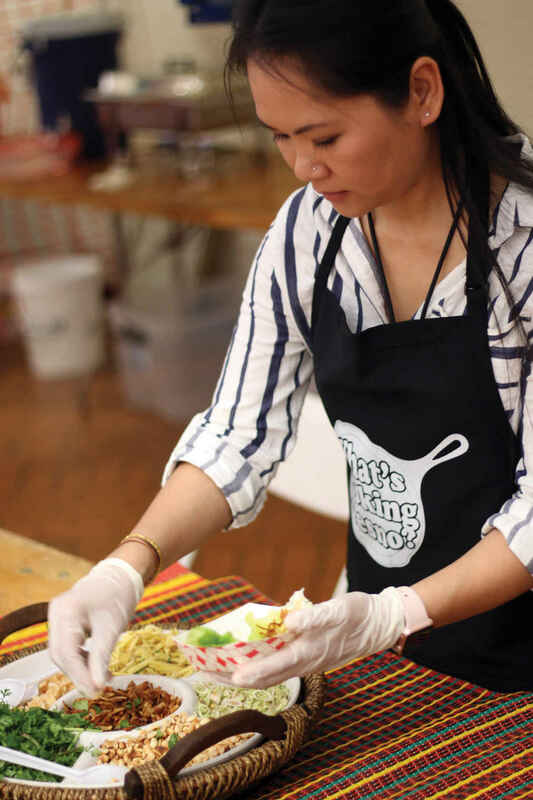 The annual Asian Economic Development Association’s Little Mekong Night Market in St. Paul, Minnesota, brings the community together through arts and culture. The project also engages local artists in Creative Placemaking strategies to help integrate arts, culture and community-engaged design into the neighborhood fabric. Those include wraps that transform traffic signal boxes into public art, signs that brand the South Side as “the bright side of the tracks” and other artful touches. “I like the positiveness of seeing the South Side as a welcome mat for Billings, rather than just being swept under the mat,” says Linda Deavila, a 40-year neighborhood resident. Supporting local leaders like Deavila is key to the project’s success. Deavila attended a national convening of FreshLo grantees in Memphis, Tennessee, then came back to take on a leadership role. “The gals at RiverStone are always getting others in the community to take the lead,” Deavila says. A thousand miles west, Fresno, California, faces a similar dearth of healthy food options. Though it is located in the heart of California’s Central Valley, where rich soils produce much of the nation’s fruits and vegetables, Fresno is among the poorest, most food-insecure cities in the country. Those problems are especially acute in Fresno’s urban-industrial Blackstone corridor, flanked by strip malls, car lots and fast-food restaurants. Blackstone is rich in diversity, with sizable Latinx, Laotian, Hmong, African American and Native American populations. But the neighborhood’s food offerings don’t reflect those traditions. Fresno Metro Ministry — a multicultural, multifaith community organization that has served the city for nearly 50 years — received a FreshLo grant for its What’s Cooking Fresno? incubator project. Fresno Metro Ministry surveyed residents and found aspiring chefs and food entrepreneurs who faced barriers to achieving their dreams. 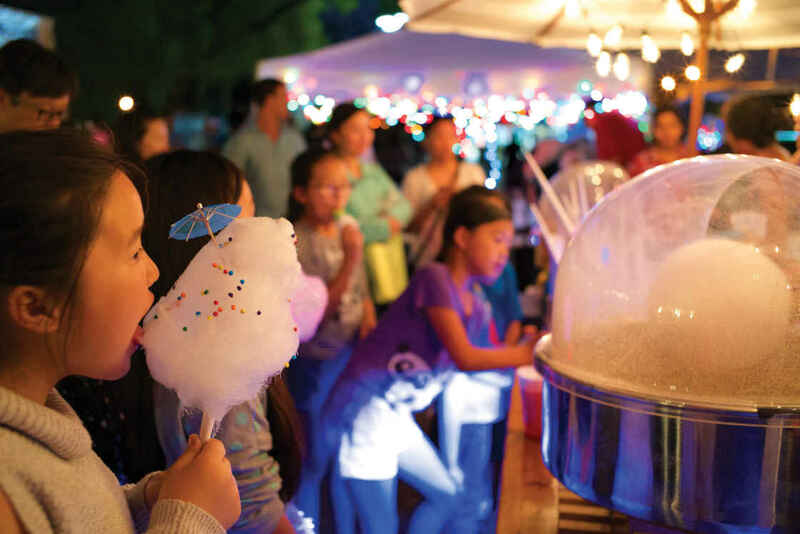 The Fresno team worked with the chefs to organize pop-up festivals with themed dishes from various cultures. Fresno Metro Ministry also employs what Executive Director Keith Bergthold calls “software” and “hardware.” The “software” is a recently launched, eight-month training program for food entrepreneurs that teaches interpersonal skills, leadership and management, culinary and technical skills and marketing. Meanwhile, Fresno Metro Ministry is partnering with the local housing authority to create the “hardware” — a planned mixed-use, transit-oriented development with affordable housing, an incubator kitchen, food kiosks and community space. 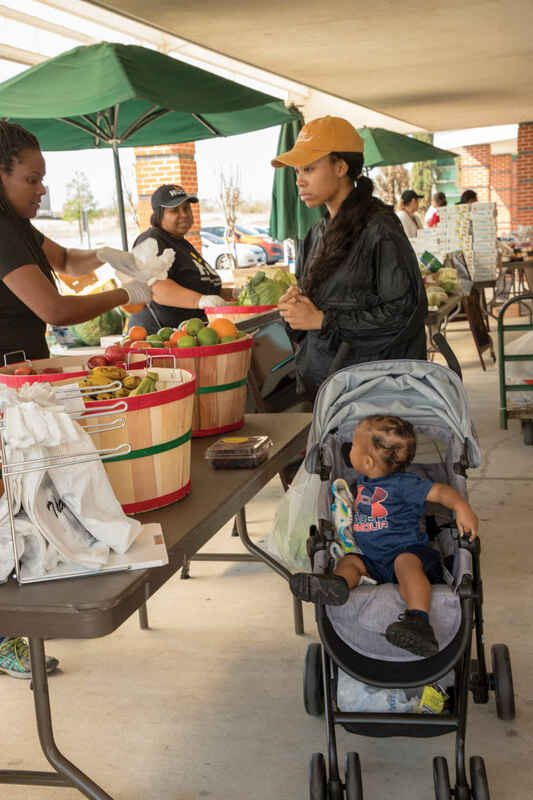 Across the country in New Brunswick, New Jersey, Elijah’s Promise received a FreshLo grant to build community with a public market — the Mercado Esperanza. The monthly market celebrates entrepreneurial spirit, culinary and cultural heritage and the artistic soul of New Brunswick’s Esperanza neighborhood. 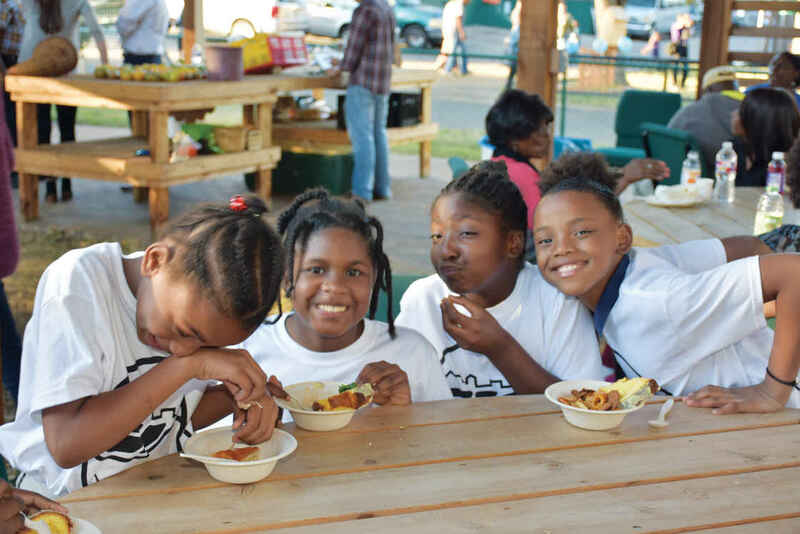 Elijah’s Promise has long understood the community-building power of food. Since 1989, the group has operated a soup kitchen in New Brunswick, where a third of residents live in poverty and almost two-thirds struggle to meet daily living expenses. Over the years, the group evolved into a comprehensive food systems agency with social services, culinary job training, urban agriculture and food entrepreneurship programs. The “What’s Cooking Fresno?” incubator project offers opportunity for food entrepreneurs and aspiring chefs. For its FreshLo grant, Elijah’s Promise partnered with other established community groups — New Brunswick Tomorrow and coLAB Arts — to increase the project’s success in outreach and Creative Placemaking. They discovered that many residents had side hustles selling food, clothing and crafts and wanted a market for those products. As in Fresno, aspiring food vendors faced daunting barriers. And members of the Esperanza neighborhood’s large Oaxacan community longed for their children to experience the vibrant markets they had grown up with in Mexico. And so Mercado Esperanza was launched. The first step was to create a council of local residents that worked to develop a plan for a flexible community market where residents gather, shop, sell, dance, perform and otherwise express creativity and entrepreneurship. In addition, the project works to connect aspiring food vendors to commercial kitchen space, liability insurance and bulk purchasing plans. The Mercado’s collaborative approach is encouraged by FreshLo’s sector-crossing emphasis on food, health, economic development, equity and Creative Placemaking. And often the journey is just as important as the final destination. Our Arts & Culture grantees threw themselves into the task of driving positive change in their communities throughout 2017, making progress toward the fusion of arts, culture and community-engaged design into local decision-making processes. There were plenty of reasons 2017 could have been the year when arts and culture sector actors withdrew into a defensive crouch — among them, the erosion of civil civic discourse; constant threats to eliminate critical funding sources; and a federal government that is hostile or indifferent to the social justice and equity values so crucial to artists and their communities. Yet the sector stood strong. 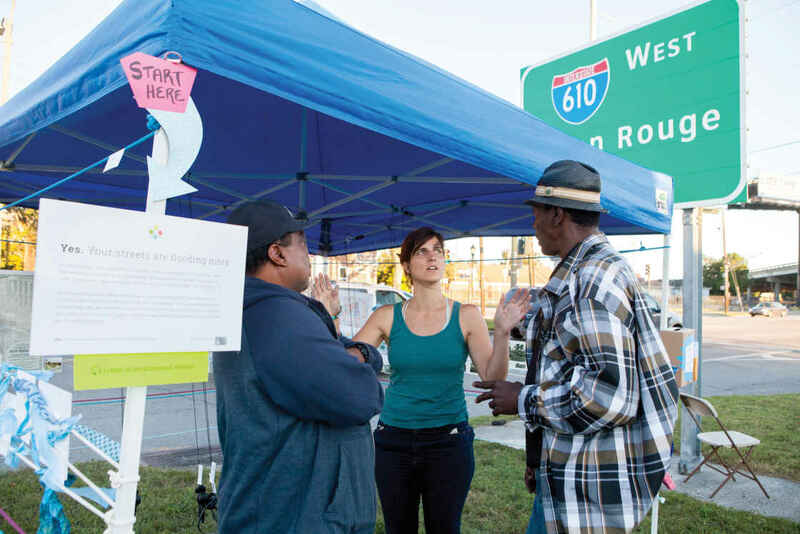 Our allies and partners forged ahead with renewed vigor on the vital work of Creative Placemaking on streets, blocks and neighborhoods from Los Angeles to Philadelphia, and from New Orleans to Minneapolis. It was a resounding acknowledgement of the imperative to focus even more intently on leveraging arts and culture as a tool to enliven neighborhoods, more tightly bind the social fabric of community and empower residents with agency and purpose. Kresge’s Arts & Culture team is incredibly proud of our partners’ dogged work that increasingly establishes “preconditions for change” on the streets of our great American cities: physical transformation of neighborhoods, a community narrative shifting toward the authentic and positive and a stronger sense of agency and social bonds between and among neighbors and institutions. Our team partnered closely with those doing Creative Placemaking work on the ground, providing the resources, tools and support necessary to expand opportunity and build vibrancy in resurgent communities. Made new investments in Detroit, exploring closer alignment with the Detroit team’s neighborhood capacity-building initiative. 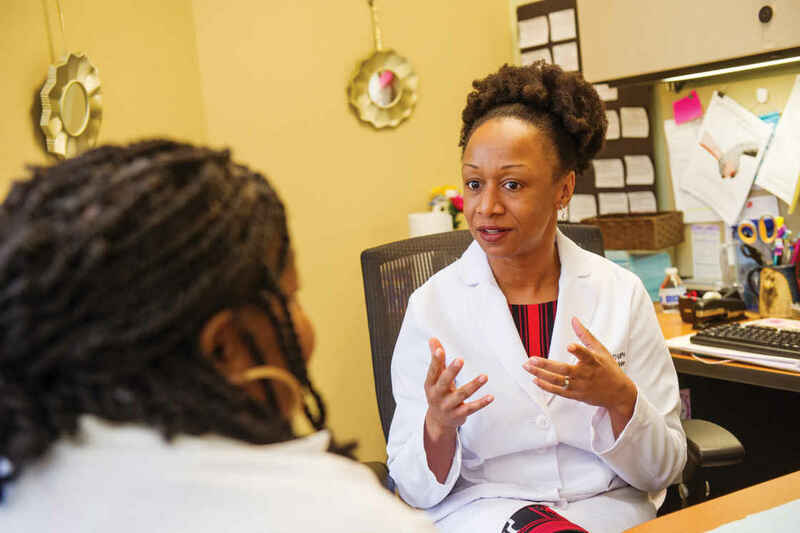 Metro Detroit native Dr. Joneigh Khaldun knew at age 5 that she wanted to do something about the health challenges around her. In her first public health “intervention,” she says she hid her grandmother’s cigarettes. She followed her passion and entered a career in public health via medical school. And in 2017, she came back to her home community of Detroit to tackle the city’s most pressing health challenges. 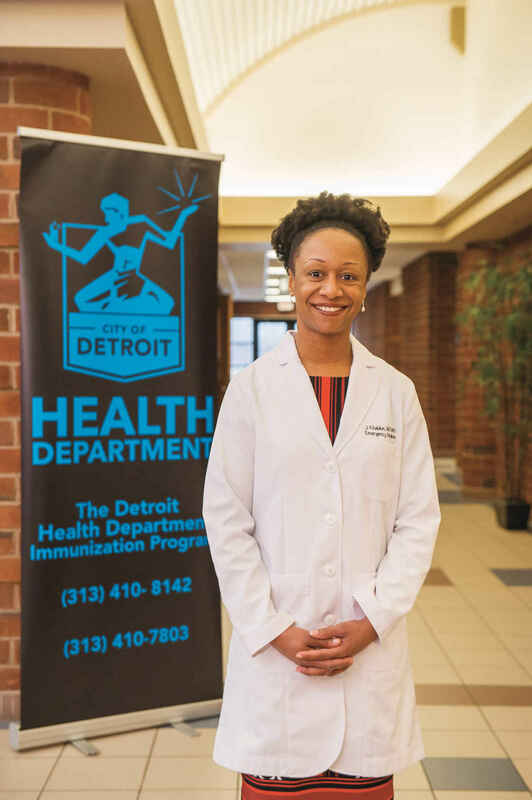 City of Detroit Health Department Director and Health Officer Joneigh Khaldun, M.D., leads an initiative called Ready to Learn, a comprehensive approach to developing accessible and innovative services to keep kids healthy. Khaldun leads an initiative called Ready to Learn (R2L), funded in part by Kresge’s Health and Detroit program teams. R2L is a comprehensive approach to developing accessible and innovative programs and services to ensure that children are healthy and physically able to engage and participate in school. Ready To Learn helps enhance early childhood center inspections, monitoring and reporting. That’s a system where children are holistically assessed for critical public health needs — immunizations, vision, hearing, lead testing, nutrition and behavioral health challenges. They are then provided with services on the spot or get a referral to a pediatrician or mental health care provider. The department also works to better understand the policy and structural barriers that impede access to services for families. “Our current systems have failed our children,” Khaldun says. “The challenge is that there are silos between systems that are designed to support children and families. Dr. Joneigh Khaldun is passionate about coordinating family health services with the goal of improving outcomes for children. Grant funding will also allow the department to expand its education efforts around lead remediation and reboot its volunteer outreach project to focus on children within ZIP codes who are at high risk for poor health outcomes. R2L has already helped to enhance early childhood center inspections, monitoring and reporting. A data-driven system is in development to ensure that an estimated 200 early child care facilities are inspected annually, and plans for quality and safety are implemented across all programs in the city. R2L is closely aligned with the Detroit Program’s Kresge Early Years for Success (KEYS): Detroit, an investment strategy to strengthen the city’s neighborhoods by putting the essential building blocks in place to support the healthy development of young children and prepare them for educational success. Kresge President and CEO Rip Rapson and La June Montgomery Tabron, president and CEO of the W.K. Kellogg Foundation, at the launch of Hope Starts Here. “Detroit’s comeback must include investments in the healthy development of young children, and we believe that a strong early childhood system will ensure a healthy and thriving community,” says Wendy Lewis Jackson, managing director of the Detroit Program. 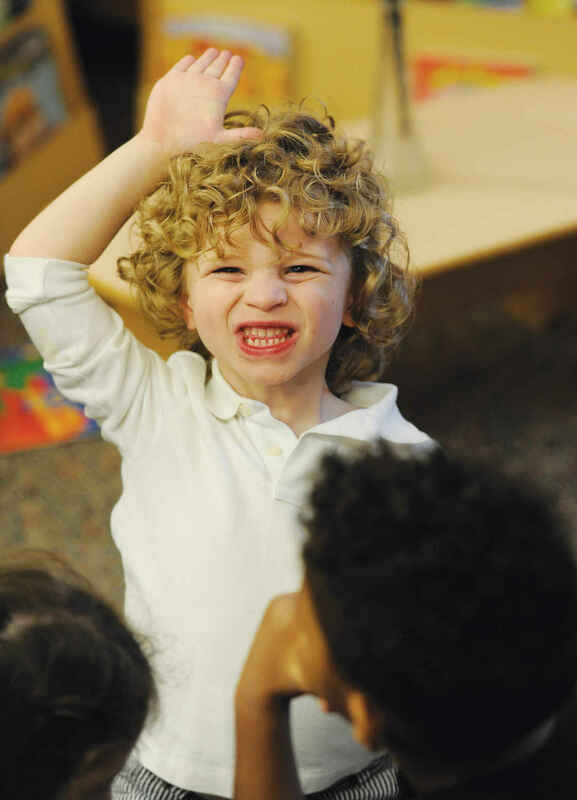 Kresge’s early childhood investments focus on four strategic categories: development of comprehensive facilities that provide innovative programming and supports; investments in vital areas such as data and research; grantmaking programs for improving professional development and neighborhood connections; and support for the Hope Starts Here initiative. Launched in 2016, Hope Starts Here is a citywide alliance of advocates and partners for improved early childhood systems in Detroit. Kresge President and CEO Rip Rapson co-chaired the effort with La June Montgomery Tabron, president and CEO of the W.K. Kellogg Foundation. Khaldun serves on the Hope Starts Here Stewardship Board, a cross-sectoral table composed of parents, child care providers, early childhood educators, health care providers, local and state government representatives and business, community and philanthropic leaders. The Stewardship Board guided the process of creating a blueprint to improve early childhood outcomes in the city. Hope Starts Here gathered input from 20,000 Detroiters as it created a plan of action to make Detroit a world-class city for kids. 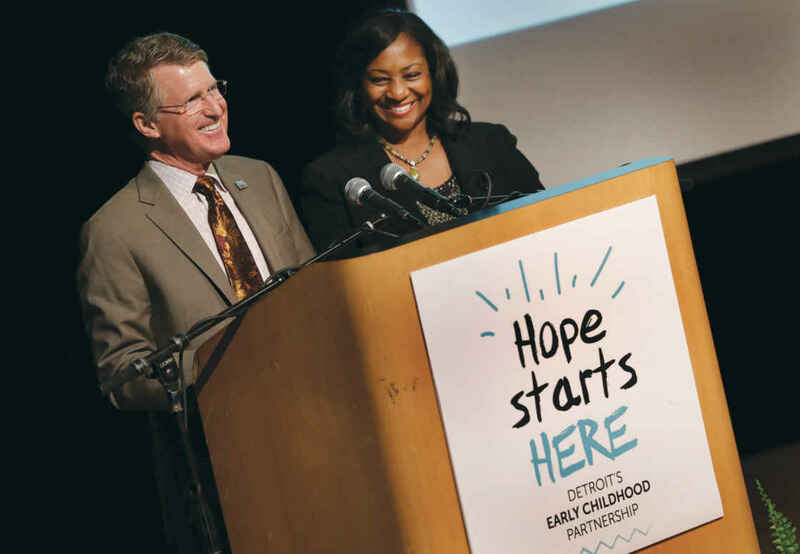 Through a nearly yearlong community engagement and awareness-raising process, Hope Starts Here invited families and caregivers to make the case for a focus on early childhood and sought recommendations for action. More than 2 million connections were made through hundreds of meetings, surveys, community conversations and strategy sessions. Through that community input, Detroit now has a 10-year framework, grounded in a cross-sectoral all-hands-on-deck philosophy, for improving early childhood services. It includes 26 policy priorities, 15 strategies and six overarching imperatives. “The framework provides a coherent and comprehensive approach for supporting young children for the next decade,” Jackson explains. “Its beauty is that, at its core, Hope Starts Here is a community engagement platform. It is not intended to be a plan that sits on a shelf. Kresge is committed to improving early childhood outcomes in Detroit. To collaborate internally on that action plan, a KEYS: Detroit work group has met regularly within Kresge to share portfolios and expertise in education, health and human services. 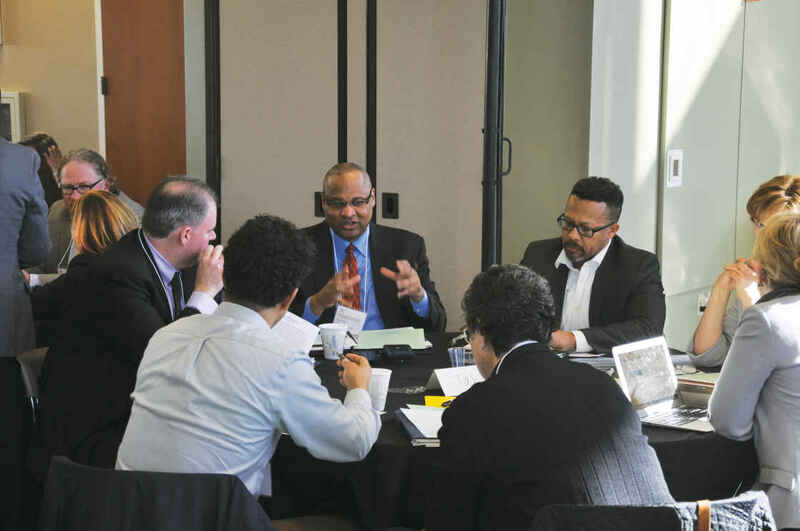 The cross-team conversations allow for an information exchange to enable program staff who are doing work nationally to connect Detroit to best practices and make investments that support the work in Detroit. “These regular conversations have enhanced our understanding for how to strengthen the impact of early childhood funding in Detroit and have been particularly helpful as we consider strategies to support the long-term development and success of all children,” Jackson says. As for Khaldun, like many of the children Kresge has had the opportunity to engage with through its KEYS: Detroit focus, she has big dreams for the future. She is already thinking about how to build upon the R2L program and deepen the linkages between systems. Her vision is to ensure that for every child in Detroit — wherever they are touching the system — health providers can click on one button and understand the history of the family, any support it currently needs and swiftly provide warm connections across health and social service systems. Artists are the heartbeat of community for Kresge’s Detroit Program. Kresge Arts in Detroit (KAID), administered by the College for Creative Studies in Detroit, presents awards for artists in Wayne, Oakland and Macomb counties. From 2008 to 2017, the foundation — through KAID — recognized nine Kresge Eminent Artists with grants of $50,000 each for lifetimes of excellence. Nine classes of Kresge Fellows — 162 in all — also received grants of $25,000. Since 2015, Kresge has also annually recognized two emerging, risk-taking artists with Gilda Award grants of $5,000. Collectively, it has meant $4.5 million for the creative economy by way of the artists themselves. 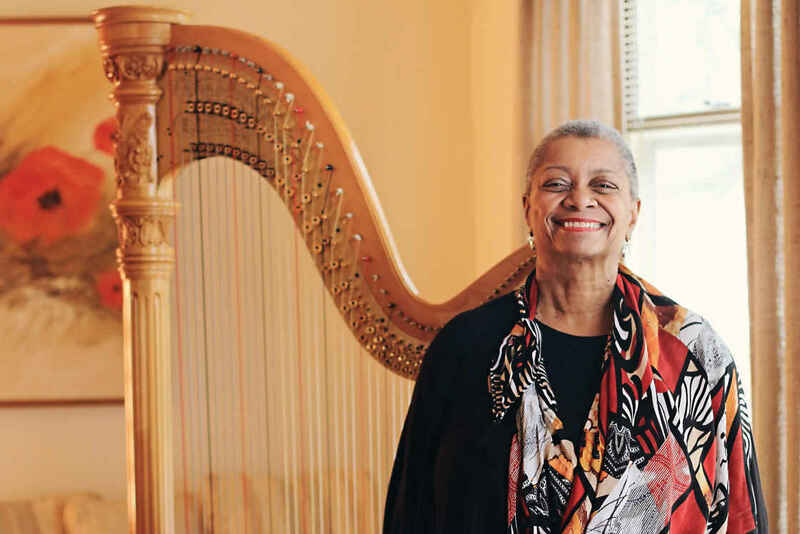 The 2017 Eminent Artist award recognized harpist Patricia Terry-Ross for achievements as an educator, classical performer and studio musician (particularly for Motown Records). Nine fellows were recognized each in literary and visual arts, and a Gilda Awardee was named in each discipline. In addition to cash awards, fellows receive a year of professional practice support from Creative Many Michigan. They are also invited to attend an intensive professional development retreat presented by New York-based Creative Capital. While our national discourse may be hostile, rancorous and fractious, the story at the local level is often inspiring. Three years after resolving the largest-ever municipal bankruptcy in the U.S., diverse stakeholders continue to build on the turnaround’s momentum. Detroiters’ intrepid spirit is reflected in new construction, in the renovation of buildings once fated for demolition, in new art galleries, retail outlets and eateries. Have no doubt, Detroit is rising. But the job of expanding opportunity is just beginning. There is a growing recognition that a genuine, sustainable and fair comeback depends on improving opportunity and quality of life across the city and especially in neighborhoods. That’s where the path to prosperity for Detroiters begins — or should. Research confirms that a neighborhood can launch children and families on a trajectory of success — or trap them in profound inequality. For too long, the latter has often been the reality in Detroit. That’s why we positioned neighborhoods as the center of our work in 2016. And it’s why, in 2017, the first full year of our neighborhood focus, we dared to think big. With Kresge’s Social Investment Practice, we’ve worked to stabilize a financial crisis at Marygrove College and support its reinvention. We’re looking to additional partners to jointly envision a cradle-to-career campus — the city’s first and among the nation’s few. We’ve advanced an initiative of three-year general operating support grants to community development organizations on the frontlines of revitalization. Collaborating with Kresge’s Education Program has led to investments in Detroit Drives Degrees, an initiative to increase the regional percentage of individuals with college degrees and high-skill credentials. Our collaboration with the W.K. Kellogg Foundation to provide high-quality early childhood programs resulted in the unveiling of the Hope Starts Here Detroit Early Childhood Framework, seeded with a $50 million combined commitment. Our partnership with Kresge’s American Cities Practice, the city of Detroit, and other philanthropies culminated in groundbreakings for the new 2.5-acre Ella Fitzgerald Park and the nearby HomeBase, which will provide office and community-center space for the Live6 Alliance and other organizations serving northwestern Detroit. Our gaze is fixed straight ahead. This next chapter in Detroit’s revitalization hinges on those who stayed during the city’s most difficult times, working in trust and partnership with newer arrivals. Together we’ll reimagine an equitable city. This is where we’ll build on the spark that’s been started and expand opportunity in what we know can again be a great American city. It’s time to retire the idealized image of the college student who couch surfs and subsists on peanut butter sandwiches and cups of hot noodles. That’s because for a considerable number of college students, there is nothing ideal about the scarcity in their lives. Instead, it is a symptom of poverty — one that significantly diminishes students’ chances to graduate. In a 2017 survey -— the largest ever of its kind — of 33,000 community college students funded by The Kresge Foundation’s Education and Human Services programs, a research team led by Dr. Sara Goldrick-Rab of Temple University found that 33 percent of community college students were hungry, nearly 50 percent lacked secure housing and 14 percent were homeless. All are profound challenges that conspire to undermine college success. 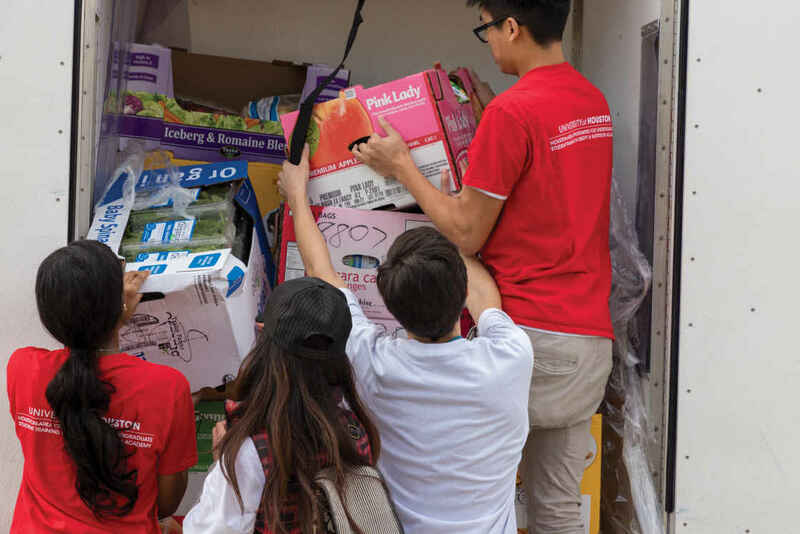 Students distribute food at Houston Community College, one of three pioneering community colleges where Dr. Sara Goldrick-Rab has been conducting research into hunger and homelessness. Jobs, kids, lack of transportation — these are barriers burdensome enough for anyone. But when layered on top of trying to graduate, they’re the kind of barriers that more often than not take students out of the postsecondary game. 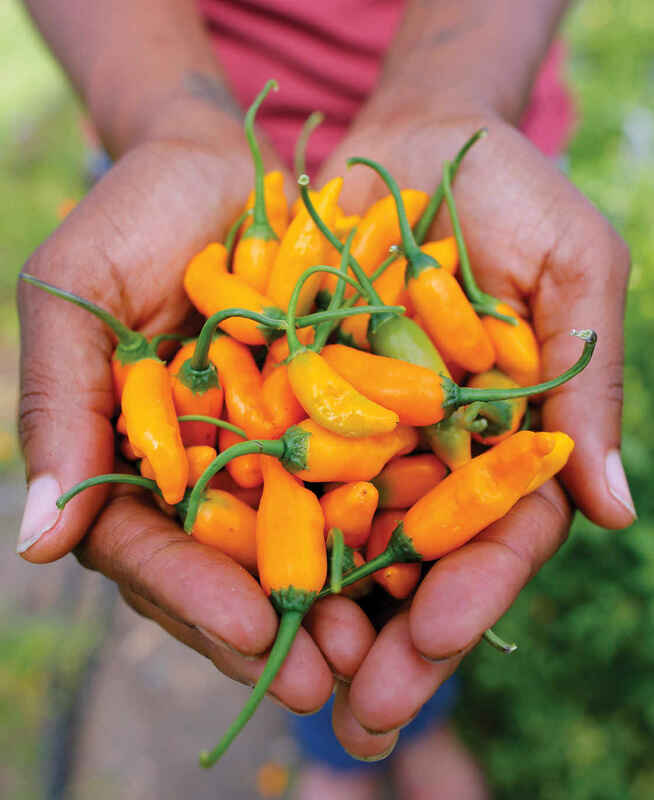 Houston Community College food scholarship recipients have access to free produce, meat and other fresh foods. Imagine staying up all night — not because you had to study, but because you didn’t have a place to sleep. Or missing a meal — not because you were too busy, but because you couldn’t afford to eat. “I’ve been in numerous meetings with students at 8 a.m., and the coffee is all they’re going to have until 7 at night,” says Goldrick-Rab, a professor of higher education policy and sociology at Temple University. And scarcity, she says, interferes with cognition. Building on initial data, Kresge in 2017 supported Goldrick-Rab’s further research into how hunger and homelessness are being addressed at three pioneering community colleges: Houston Community College in Texas, which is providing food scholarships for 250 students; Bunker Hill Community College near Boston, Massachusetts, which is providing cafeteria vouchers to 100 students; and Tacoma Community College (TCC) in Tacoma, Washington, which is collaborating with the Tacoma Housing Authority (THA) to provide rental assistance for students who are homeless or at imminent risk for losing a place to live. 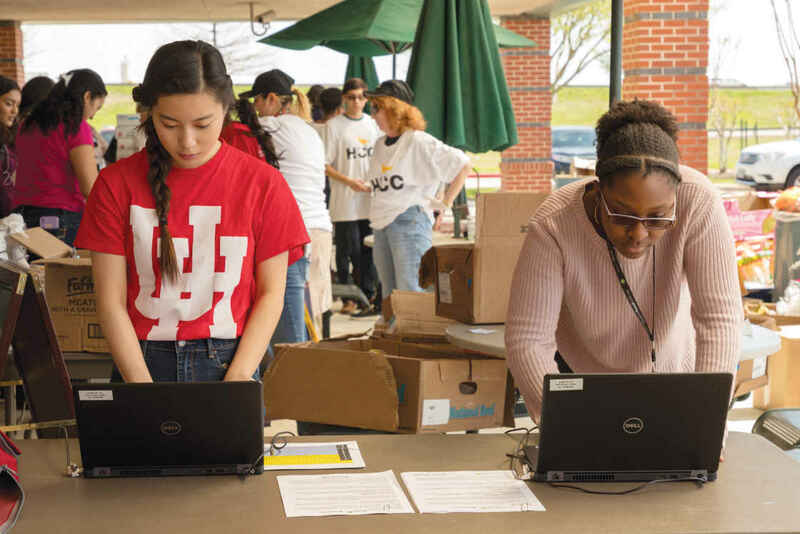 Student data captured during registration for the Houston Community College food distribution program is used for research. With 14,000 students, many of whom are parents with low incomes, TCC launched the joint housing-assistance program after a preliminary survey revealed an acute need for such support. Under the program, TCC and THA target students in a workforce development program that helps them navigate careers. To remain eligible, students must stay enrolled in courses offering 12 or more academic credits, maintain at least a 2.0 GPA and participate in supportive workshops on such topics as financial literacy. The average age of students participating in the program is 35, and 82 percent of participating students are parents. Many more students apply for assistance than the college can serve. 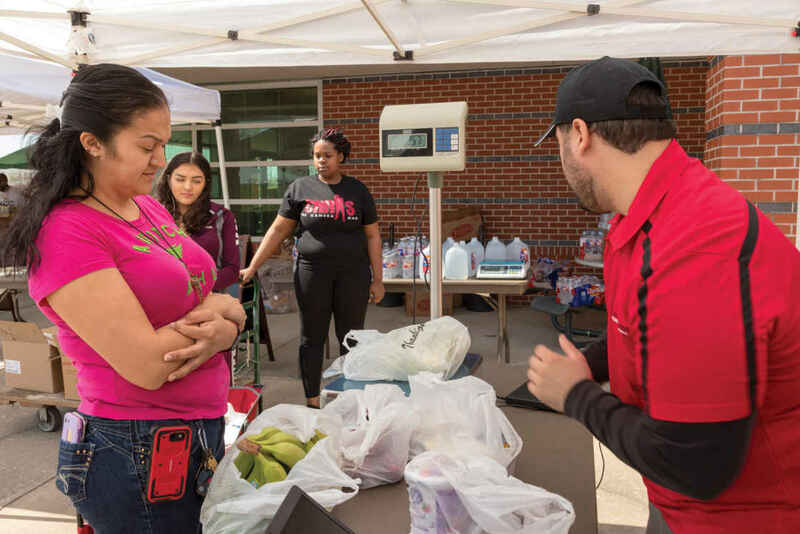 Income-eligible students at Houston Community College can receive food scholarships to obtain nutritious groceries. After just one year of implementation, the results from the Tacoma housing program were promising: 21 out of 22 participating students remained enrolled in school. In comparison, of the 146 eligible applicants the program could not serve, only 35 students stayed enrolled at TCC. The average GPA of the participating students was 3.05, compared with the average GPA of 2.96 for all TCC students. The program has been so successful that it has been expanded to include 150 students, including some who began their college studies in prison. One grateful beneficiary of the Tacoma program is John, a 19-year-old freshman who escaped a household of violence and drug use only to spend his last few years of high school living in a car. Despite those obstacles, he managed to graduate from high school with a 3.5 GPA. 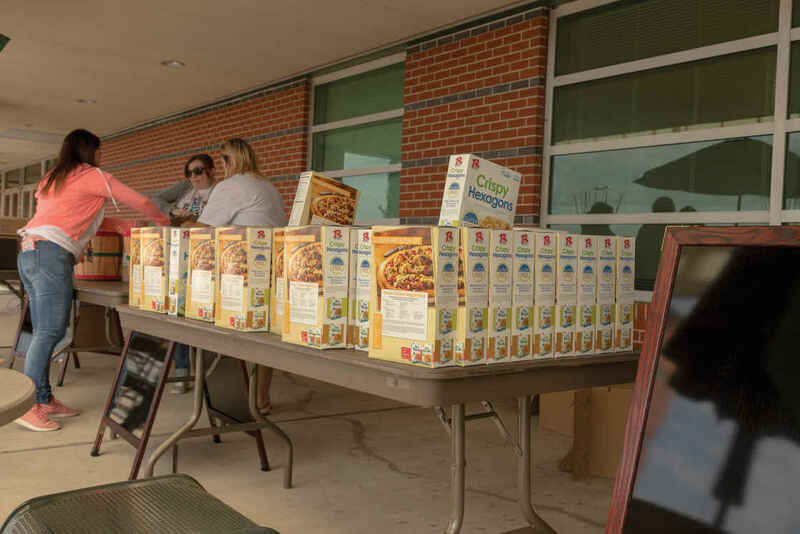 A food distribution program at Houston Community College provides support to students, some of whom are also parents. John enrolled at TCC in the fall of 2017 with the help of state and federal grants, but neither was sufficient to cover housing. He also didn’t want the burden of a loan. “Taking out a loan means (paying) interest and accumulating debt that I can’t afford,” says John, who has been working as an Uber Eats driver and living in a garage. However, John was selected for the rental assistance program and was planning to move into proper housing. He is thrilled for the help, and it will surely give him one less thing to worry about as he studies to become an ultrasound technician. The housing assistance program was a key reason that Emerson Rensink, a 32-year-old sophomore, chose TCC to pursue an associate degree in paralegal studies. When he started at TCC in March 2016, he had been experiencing homelessness for nearly six months, at first crashing with various friends, then living in his car after losing a well-paying job at a Home Depot warehouse. Renting in Tacoma was getting pricier — like nearby Seattle — and Rensink was priced out. A survey funded by The Kresge Foundation found that 33 percent of community college students were hungry. So, he applied to the housing program in the fall of 2016, and by January 2017, he was living in a one-bedroom apartment with a rent of $780 including utilities. The program subsidizes $443 of that amount, which leaves Rensink to cover the remainder with the income from his part-time job. He will be graduating with an associate degree in May 2018 and plans to pursue a bachelor’s degree immediately. Too often what keeps college students from seeking the help they need, besides a scarcity of resources, is a sense of shame. They don’t want to admit that they’re hungry, couch surfing or showering at the school gym. And they think no one else is in the same boat. 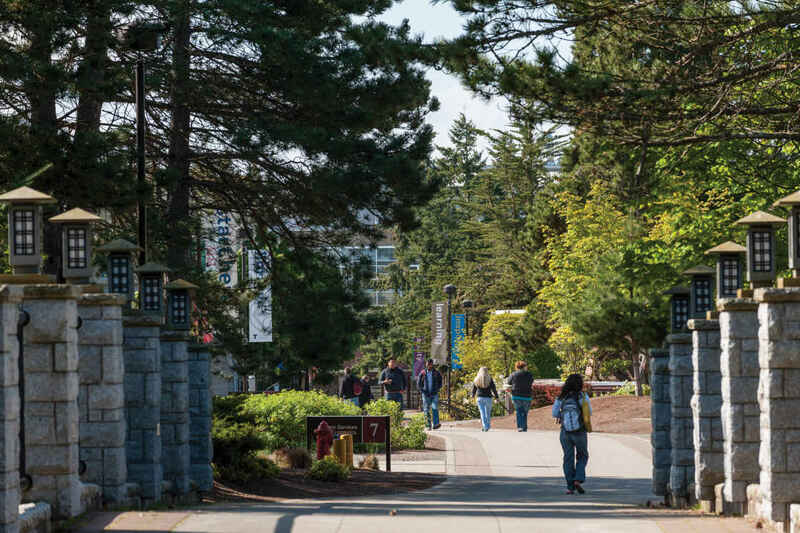 One year in, almost every student enrolled in a Tacoma housing program remained in college. That’s why, along with raising public awareness, the three programs aim to change the narrative for the students themselves. As the Goldrick-Rab team collects the data on the programs — what works, where, why and how — they will collaborate with the program leaders to educate federal, state and local decision-makers about the most effective ways to address scarcity among college students, and how the solutions might be scaled. Meanwhile, these innovative colleges are providing invaluable aid to 500 students who remain on a path to a college degree. “This has been life-changing,” Rensink says. “It’s hard enough to do school full time and work, and I’m also an officer of a school club. The U.S. college access and success field has matured. We have a strong cohort of go-to solutions that dismantle barriers to student success, such as improving remedial math and English courses, redesigning advising practices and clarifying pathways to graduation. Now we need to expand effective reforms while reviewing chronically underexamined obstacles to student success, including off-campus issues like hunger and housing. A 2017 Kresge-supported study from the Wisconsin Hope Center found 14 percent of community college students are homeless; two-thirds are food insecure. Still, real change — progress — is happening. In early 2018, the National Center for Education Statistics reported that the number of low-income students going to college now stands at 65 percent. That’s up from 50 percent just five years ago, and is now on par with middle-income student college enrollment. Clearly, low-income students and families know they must go to college to succeed. What we need to ensure now is that those newly enrolled students complete their college degree programs. In 2017, the Kresge Education team doubled down in several areas. We supported Strong Start to Finish, joining The Bill and Melinda Gates Foundation and Great Lakes Higher Education Corporation & Affiliates to promote more effective developmental math interventions and pathways. We tapped our partner, Institute for Higher Education Policy, to launch Degrees When Due, a combination of two previously funded initiatives (Project Win-Win and Credit When It’s Due) that combine reverse transfer and degree reclamation efforts. We invested, through AGB Investment Strategies, in a cohort of historically black colleges and universities to ensure they build sustainable paths toward the future. This marked our team’s second program-related investment in partnership with Kresge’s Social Investment Practice team — and we hope to make more. This is why we also partnered with The Lumina Foundation last spring to publish a landscape analysis on impact investing in higher education. We also celebrated the success of cities that raised FAFSA completion rates through the FAFSA Completion Challenge. Working with our partner, the National College Access Network, 22 cities in the challenge raised FAFSA completion rates by nearly 5 percentage points, and eight won small grants to continue their work. And we were inspired by stories from some of the students who received student financial aid through FAFSA at FAFSAstories.org. In South Africa, we brought together 200 success-minded university leaders at the Siyaphumelela (“We Succeed”) student success conference in Johannesburg. And in our hometown of Detroit, we supported Detroit Drives Degrees, an effort of the Detroit Regional Chamber to increase college attainment in the region. But this is no time to rest. While national statistics indicate progress in getting more low-income students into college, not all is well. In addition to the risk of low-income students failing and dropping out, equity gaps remain for many students of color. There’s more work to do. That’s where you’ll find us, and our partners, in 2018. Bell used her phone to snap photos of her rain gauge and the flooded street. She then uploaded them to ISeeChange — a global online platform that allows anyone with a smartphone to document climate impacts on their daily life. Bell’s observations — together with those of her neighbors and others across the country — are painting an ever-more-detailed portrait of risk and resilience in the era of climate change. With Kresge Foundation support, The Trust for Public Land (TPL) and its partner ISeeChange are finding creative ways to marry big data with the experiences of urban residents. This approach results in fine-grained, real-time information that can target adaptation efforts where they are needed most. And it uses the principles of Creative Placemaking — the integration of arts, culture and community-engaged design — to identify and address the challenges of a warming world. Destiney Bell is all too aware of the impact of flooding in relation to climate change. 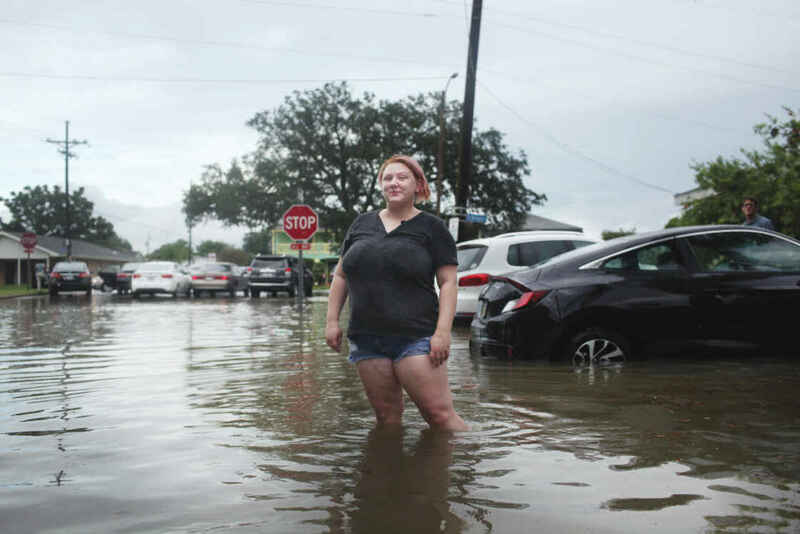 She’s among hundreds of citizens who report rain gauge readings and supply photos of submerged streets to ISeeChange, a civic media enterprise that encourages people to document climate effects in their neighborhoods. By working across disciplines — both within the foundation and on the ground — the project is charting a climate plan that puts community needs front and center. The impacts of climate challenges can vary from person to person, neighborhood to neighborhood. There are huge differences in vulnerability based on geography, health status, income level and other factors. Earlier, TPL — a national leader in creating parks and protecting green spaces — provided data and analysis to help the City of New Orleans secure a $141 million grant from the U.S. Department of Housing and Urban Development. The grant will be used to create a “resilience district” in the mixed-income Gentilly neighborhood, where Bell lives. It calls for a sizeable investment in green infrastructure — parks and green spaces that absorb stormwater, while providing places for neighbors to gather and play. These multitasking urban oases offer several climate benefits: Their shade helps cool the city and reduce energy use, while shoreline parks protect against rising seas and flooding. Trails and greenways connect residents to popular destinations and each other. The city’s first task was to decide where to build green infrastructure for maximum effect. To do this, TPL’s Climate-Smart Cities Program gathered stakeholders who possess critical pieces of data but do not always talk to one another. These included New Orleans city officials, the sewer and water authority, health groups, local nonprofits and the parks department. Together, they created a multilayered map that pinpoints vulnerable areas where poverty, aging infrastructure and high rates of disease intersect with climate-influencing factors like heat and flooding. Taken together, the data provide an extraordinarily detailed map of risk — and a blueprint for building resilience. For example, the city was considering a site for a park near an elementary school and a large public housing project. The site was already a strong candidate, but when public health data was overlaid, Olivier says the area “showed up bright red” as a hot spot for asthma and other diseases made worse by climate change — affirming the neighborhood’s urgent need for green space. But the picture was still not complete. Missing were the voices of people like Bell — those with deep ties to the neighborhood’s history and with a stake in its future. To engage those voices, TPL forged a partnership with ISeeChange, a civic media enterprise that encourages people to document climate effects in their neighborhoods by using rain gauges and heat sensors. 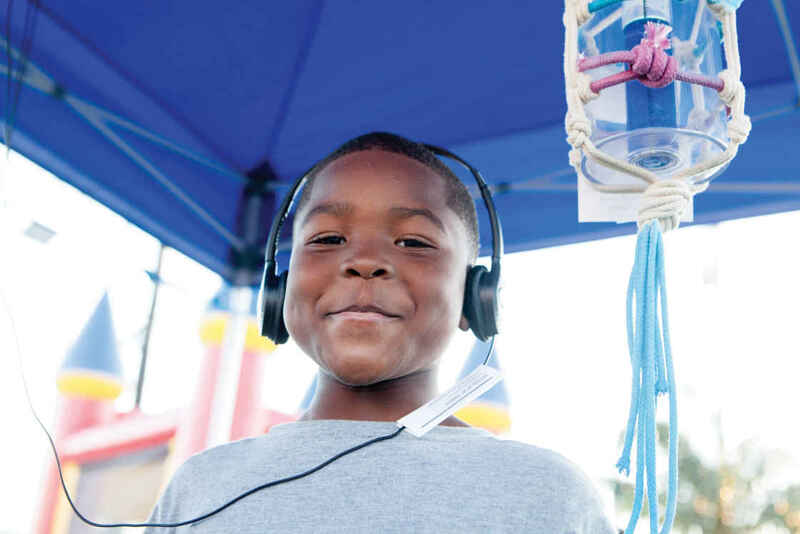 ISeeChange uses Creative Placemaking strategies to elicit residents’ observations and stories — and to enlist them in solving the challenges they identify. That is not always easy, especially when it means long days and nights at public meetings. The ISeeChange team went door to door around those hot spots recruiting citizen scientists — including Bell — to provide an on-the-ground reality check for the city’s flood maps. Bell and her neighbors also contributed stories and reminiscences, creating an archive of collective memory. There was more. A live storytelling event, co-hosted with a local public radio producer, brought residents and decision-makers together on equal footing. And public art projects raised awareness of climate challenges — including chalked street markings and ropes that graphically depicted flooding and rising sea levels. While important in its own right, the process also yields a valuable product. The information amassed — both the multilayered map created by the Climate-Smart Cities Program and the personal stories, data and observations contributed — is shaping a more resilient New Orleans. Both are included in a city request for proposals that will guide the development of green infrastructure throughout New Orleans. Three of the five costliest hurricanes ever to hit the U.S. — Harvey, Irma and Maria — occurred in 2017, causing tragic losses in Texas, Florida, Puerto Rico and the U.S. Virgin Islands. Wildfires devastated vast acreage in the American South and West with profound consequences for entire communities and regions. And global warming trends continued; 2017 joined 2014, 2015 and 2016 as one of the Earth’s four hottest years since recordkeeping began in 1880. Even as evidence of climate change increased, the federal administration systematically dismantled policies and agreements intended to place the nation and world on a safer, more climate-friendly path. The president announced his intent to withdraw the U.S. from the Paris climate accord. The administrator of the Environmental Protection Agency acted to repeal the Clean Power Plan. Climate change data and toolkits began to disappear from federal websites. Against this challenging backdrop, The Kresge Foundation’s Board of Trustees reaffirmed in 2017 the Environment Program’s charge to help cities implement climate-resilience approaches grounded in equity. Growing base of community leaders engaged on climate change locally. 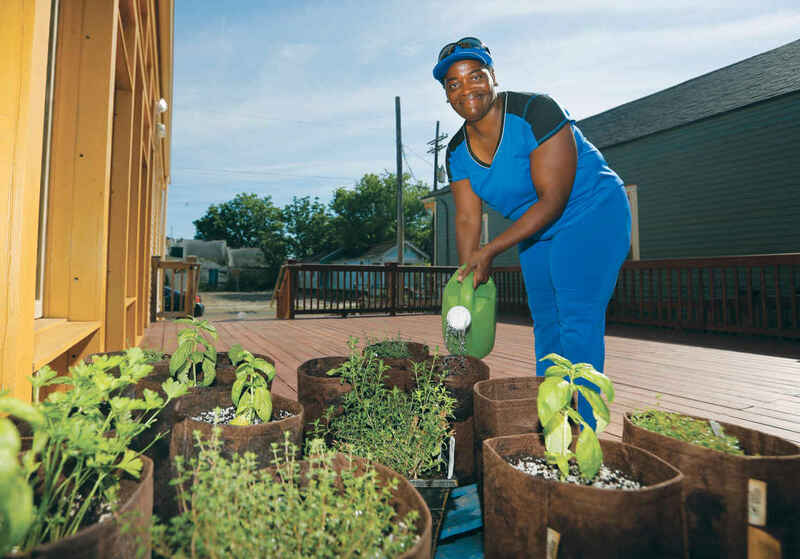 Innovators testing new approaches to finance green infrastructure and resilient power systems in low-income communities, working in close partnership with the foundation’s Social Investment Practice. We began to build a new body of work focused on Climate Resilient and Equitable Water Systems (CREWS). We also invested in efforts to defend the nation’s bedrock environmental policies, including strengthening representation of equity-focused organizations in the Clean Water for All and Climate Action campaigns, and the People’s Climate March. We were inspired by the determination, intelligence and persistence of our grantees and heartened by their accomplishments during the year. Progress is our only choice! The building and expansion of American cities in the 20th century was truly one of the great marvels of the modern age. Just a few decades after horse-drawn wagons brought pioneers to the farthest, least-settled reaches of the still-young United States, those settlers’ grandchildren had designed and built what are now some of the world’s great centers of commerce and culture. Today, most of us live in or near these great American cities, driving to and from home and work along massive highways or moving around on buses and trains. But with progress came inequity. We now recognize that the benefits of urban planning and expansion have not been equally shared. 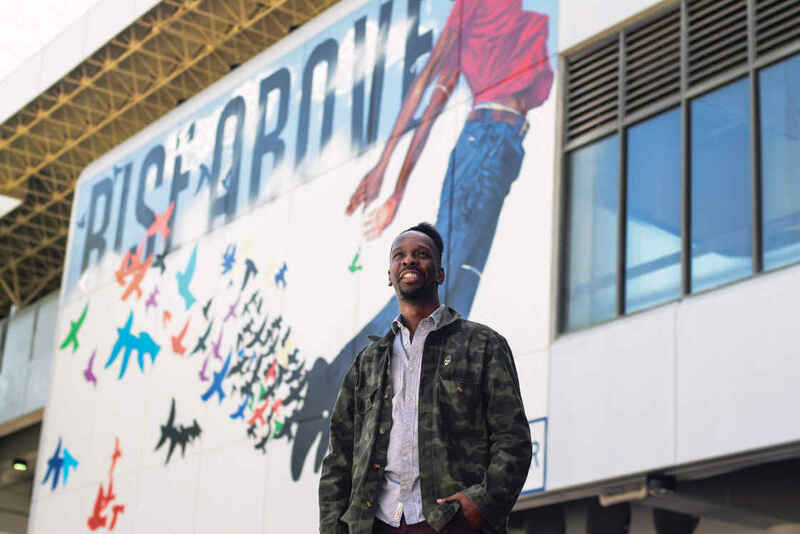 Atlanta artist Fahamu Pecou in front of his mural, “Rise Above,” at MARTA’s King Memorial Station. WonderRoot’s En Route project creates meaningful, aesthetically imaginative, high-quality, text-based murals at Atlanta train stations that explore issues of access, mobility and public transportation. People living in low-income ZIP codes — disproportionately communities of color — historically have been shut out of planning and often do not directly benefit from new infrastructure as it’s built. Instead, new interstate highways, rail lines and other large-scale projects often divide communities and further limit their access to opportunity, resulting in outcomes that can include poor health, unemployment and limits to economic advancement. “Historically, it’s much easier to build highways and other infrastructure through neighborhoods where people of color live,” says Chris Kabel, deputy director of The Kresge Foundation’s Health Program. As observers estimate that $3.6 trillion of infrastructure investment is needed in the U.S. before 2020, a bold national initiative, funded in part by Kresge and integrating five of its program and practice areas, seeks to change the trajectory. Soccer in the Streets is expanding a program that engages a diverse cross section of youth in Atlanta. Center, WonderRoot works to inspire local artists and communities to spark social change. Focusing on Atlanta, Georgia; Chicago, Illinois; Los Angeles, California; Denver, Colorado; Memphis, Tennessee; and the San Francisco Bay Area, the Strong, Prosperous and Resilient Communities Challenge (SPARCC) is investing $90 million over three years. Each locality will receive $1 million in combined grant and technical assistance funds over the next three years to support their infrastructure efforts. Collectively, SPARCC sites will have access to about $70 million in financing capital and $14 million in additional program support. The goal is to ensure that the cities’ new infrastructure investments benefit all residents — not just a privileged few. The SPARCC initiative took more than two years to develop. 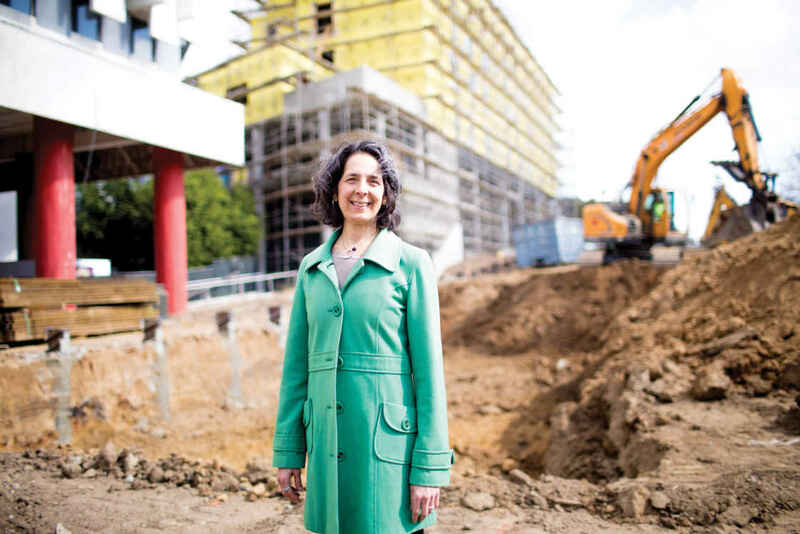 What began with a collaboration among Enterprise Community Partners, Low Income Investment Fund, Natural Resources Defense Council and the Federal Reserve Bank of San Francisco expanded to include five prominent foundations, including Kresge. Soon, with the foundations’ financial backing, the SPARCC team identified a core mission to help regions invest in infrastructure and transportation projects that improve racial equity, community health and climate resilience. Never before had a national development initiative of this magnitude boldly called out racial equity as a central priority. 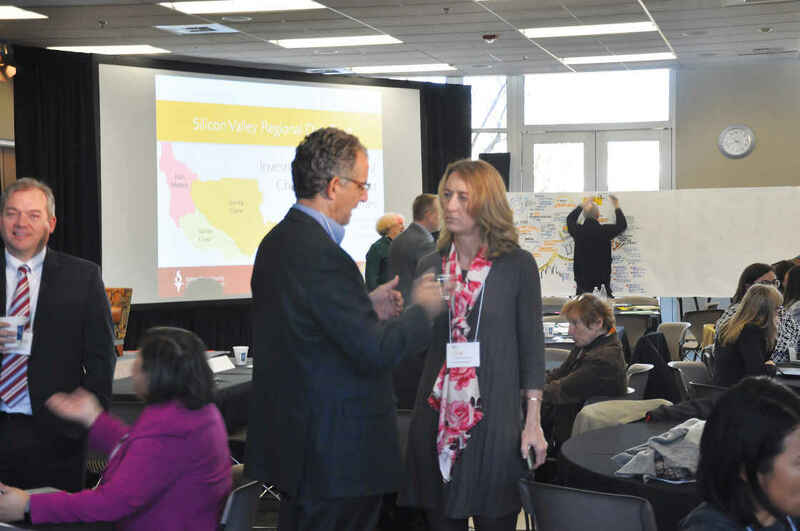 The approach that emerged hinged largely on leveraging regional, multidisciplinary networks in each of the six cities — what SPARCC’s founders call “collaborative tables.” They include participants from a diverse collection of nonprofits, foundations and businesses. These networks would seize on “catalytic moments” in their regions to identify and influence infrastructure spending to benefit all residents. 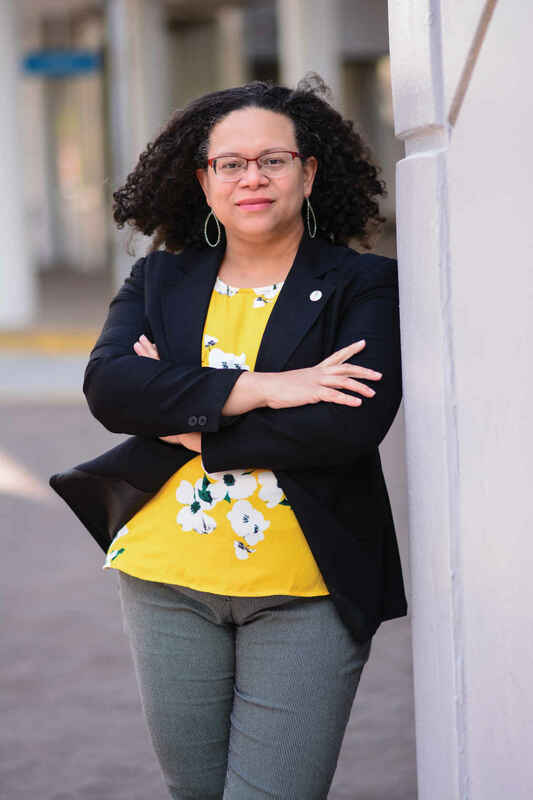 Odetta MacLeish-White is managing director at the TransFormation Alliance, a community partnership in Atlanta working to change how transit and community development investments shape quality of life. Solutions would be locally driven and community powered, with those residents most affected by proposed infrastructure projects — or least likely to benefit — at the table to participate in the decision-making process for their own neighborhoods. Infrastructure and transportation in cities intersect with many indicators — from health to culture to ecology. SPARCC was designed so that stakeholders in each region could work collaboratively toward solutions rather than independently. For instance, representatives from five Kresge teams — Arts & Culture, Environment, Health, American Cities and Social Investments — have been involved in its design and implementation. “Most organizations structure their programs very vertically — you can only talk about the environmental challenge or you can only talk about the health challenge,” Kabel says. “It became obvious that SPARCC, as it was being designed, was something that could yield multiple benefits — not just in one field or sector, but across many. For years, Atlanta nonprofits Southface Energy Institute and WonderRoot worked in different circles — silos, some would say. Southface focused on promoting sustainable development, alternative energy and green building that could respond locally to challenges presented by climate change. WonderRoot was hard at work inspiring local artists and communities to spark social change in a metropolitan area of almost six million people. Their paths had never crossed until both were at the same table for a meeting of the TransFormation Alliance. That’s the SPARCC-supported community partnership working to change how transit and community development investments shape the future and offer all residents opportunities for a high quality of life. In the months that followed, WonderRoot and Southface joined forces on an innovative project to explore climate and cultural resilience in Atlanta’s Lee Street corridor. WonderRoot hired a staff member to engage community members in assessing the culture, arts and built landscape of their neighborhood. The genius of the TransFormation Alliance is its ability to bring unlikely partners to the table to think about how their work intersects, says Brandon Jones, head of Creative Placemaking at WonderRoot. 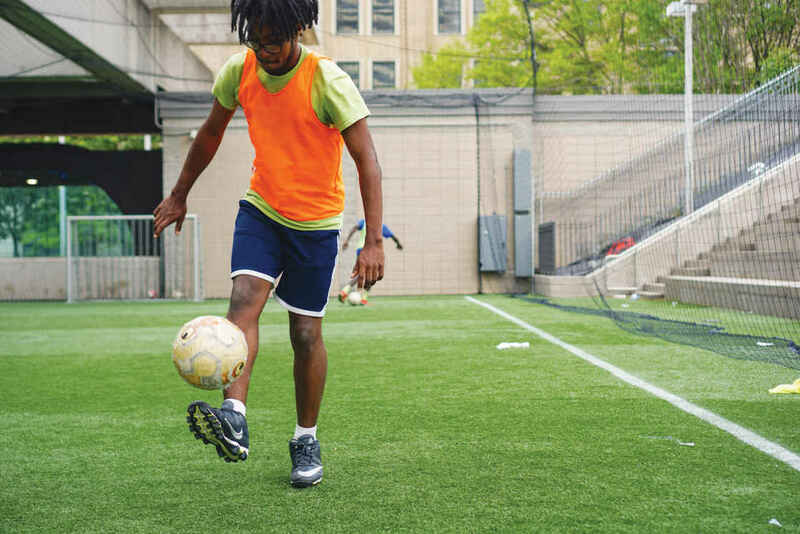 Unused parcels around transit stations are transformed into soccer fields in Atlanta to attract youths through sports. 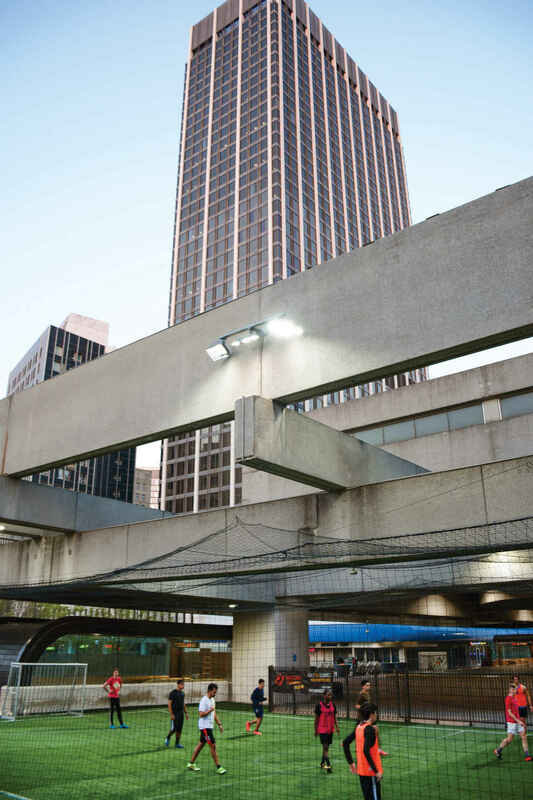 A significant portion of the TransFormation Alliance’s work in Atlanta focuses on equitable development around transit stations. WonderRoot’s En Route project creates meaningful, aesthetically imaginative murals at train stations that explore issues of access, mobility and public transportation. 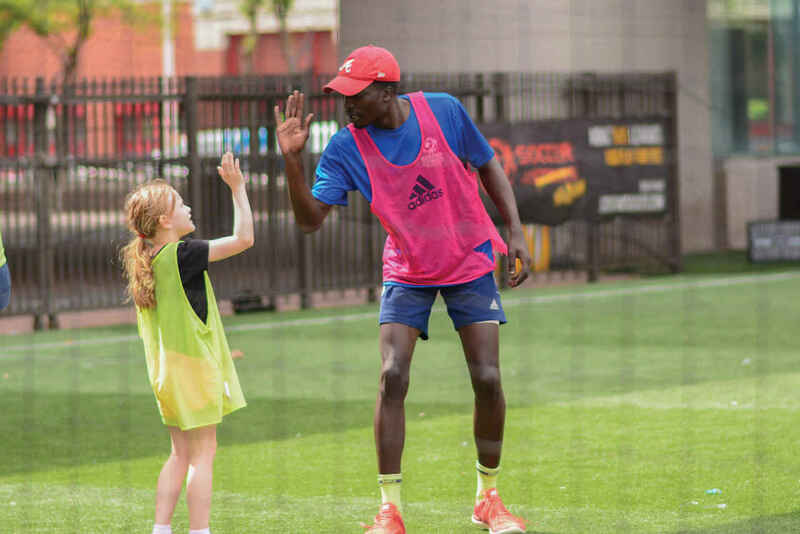 Alliance member Soccer in the Streets is expanding Station Soccer, a program that installs soccer fields on unused parcels in and around transit stations and engages a diverse cross section of youth through sport. The alliance also works to strengthen local policy around development and transportation, has developed a tool for evaluating the needs of communities around transit stations, and is launching a six-module course that teaches residents how to advocate for better transportation. Odetta MacLeish-White, who was hired as managing director for the TransFormation Alliance in October 2017, says each of these initiatives flows from an ecosystem rooted in individual education and community solidarity. That, she says, flows into infrastructure planning. Learning how to make bottom-up infrastructure development work here in Atlanta — and in the other five SPARCC sites — promises to be a model for other communities around the country. 2017 was a year that motivated our team to continue to think creatively about how we can create opportunities for all people to achieve well-being. During that time, we were proud to work alongside grantees and partners who embraced creativity and innovation despite the challenges and factors that contributed to uncertainty in our field. The ongoing changes in the health system, including deeper integration between the health and human services sectors, requires new leaders at multiple levels, and across multiple sectors. That is why the Kresge Health team continues to invest in leadership and human capital development. Through our Emerging Leaders in Public Health initiative, we were proud to select 20 new leadership teams in 2017 to participate in our second cohort; after the third cohort is selected in mid-2018, the initiative will have supported 100 public health leaders who are working to develop new roles for public health departments in their communities. Additionally, initiatives that we have been supporting over the past few years continue to grow and demonstrate incredible progress in communities and neighborhoods across the nation. For example, The BUILD Health Challenge awarded grants to 19 community collaborations that aim to transform health in low-income communities. The challenge, funded by Kresge and 11 other organizations, supports a growing network of health partners and funders who approach health and wellness through innovative, community-led interventions. Over the last 10 years, the Health Program has focused on advancing innovations in population health within our health systems and addressing the social determinants of health. This focus to make sure people have access to economic opportunities and resources that support health — safe, affordable housing; fresh food; clean air; and primary care — provides a platform for the health sector to engage in cross-disciplinary approaches. 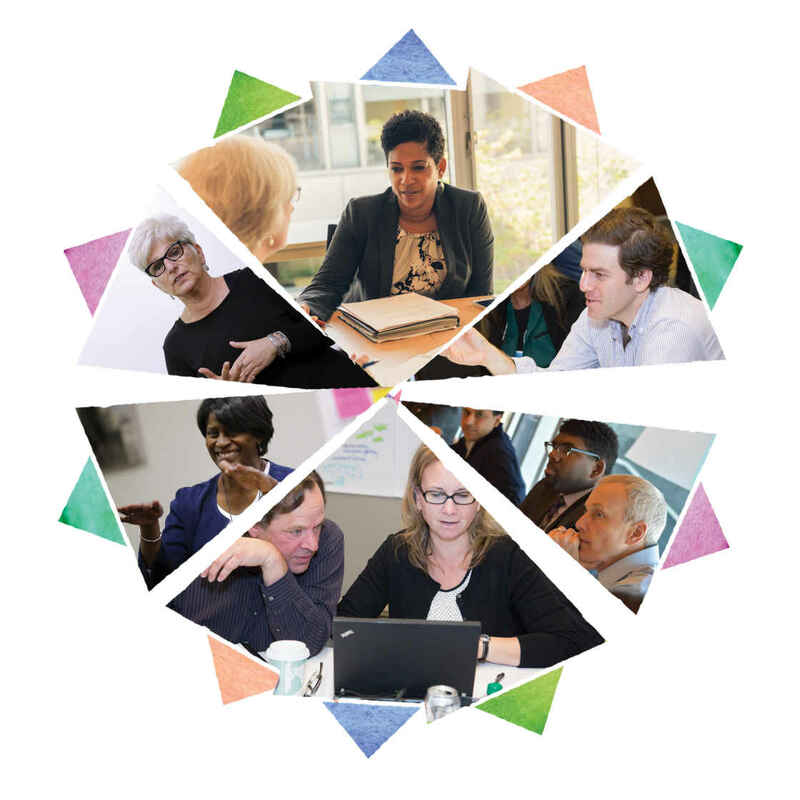 Throughout 2017, we spent time reflecting on our collaborations with our many grantees and partners to determine where we are most effective as a team and how we can help communities across the country create equity-focused systems of health. Multisector collaborations are essential to achieving this goal. Last fall, we introduced three new strategic focus areas that will guide our work as we move forward. We will continue to support efforts to integrate health and human services, catalyze institutional investments in community health and improve health conditions driven by locally determined solutions. On behalf of the Health Program, I hope you will enjoy learning more about the incredible and impactful work of our partners. A doctor diagnoses an adult patient with asthma and sees on the patient’s electronic medical records that she lives near a pollution site. Before the patient’s next visit, the doctor uses email to refer the patient to other resources. The next day, a social worker reaches out to connect the patient with a real estate agent to help find housing in another part of town, and a workforce specialist makes contact to provide employment assistance in the new neighborhood. There was a time when such collaboration among agencies was a pipe dream. Now, thanks in part to Kresge grant recipient Stewards of Change Institute (SOCI), it could be closer than ever. SOCI is behind a program designed to improve communication among six major areas of practice: human services, health care information technology, public health, education, public safety and emergency response. Aspiranet, cited by Stewards of Change as a real-world example of an interoperability project, relies on coordinating service delivery and keeping meticulous records for its work with children and families. 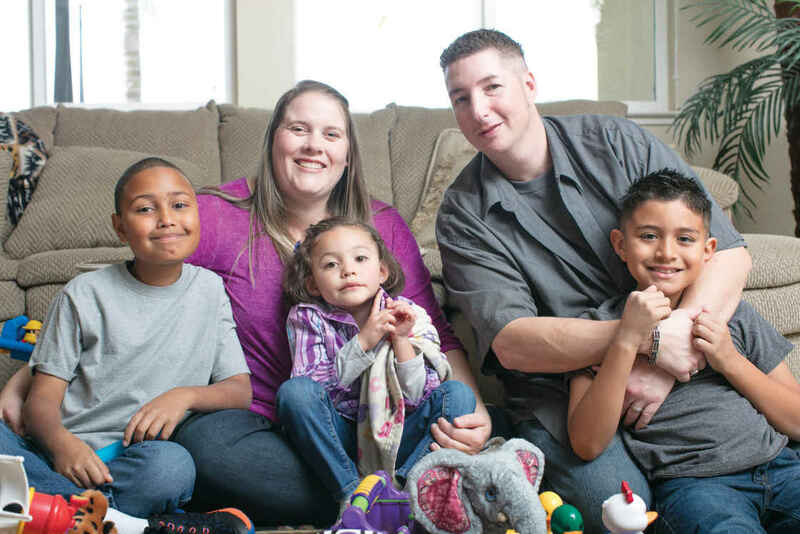 The California-based organization provides a broad range of services to foster and adoptive families and teens aging out of foster care. That program, the National Interoperability Collaborative (NIC), launched in June 2017 and eventually will advance the use of interoperability and data-sharing partnerships to benefit at-risk and underserved individuals and families. SOCI is working with think tank AcademyHealth to use $1.2 million in Kresge seed funding to provide guidance, promote and facilitate standards and promulgate information sharing across sectors. The best way to understand how NIC functions is to think of it as a network, or a community of networks. A new approach, it enables public agencies on one side of an issue to see and understand what other agencies are doing — a repository for data so health professionals and human services providers can determine how best to help people. Stewards of Change uses vision mapping to support organizations in reaching their interoperability goals. The process is designed to rapidly distill the thinking of a diverse group of conference and workshop participants around challenging topics. In short, it’s a shared resource to empower agencies to be more effective in providing services. Ultimately, NIC’s technology interface will work like a highly tuned search engine such as Expedia or Travelocity. Service providers will query for information and a database representing a variety of agencies and sectors will return a host of searchable results. NIC currently focuses on governance and standards dissemination. With the leadership of SOCI and AcademyHealth, NIC provides case studies and technical assistance on health crises, identifies best practices through comprehensive review of interoperability guidance and toolkits, and convenes key stakeholders to share information and provide feedback on how the systems can work together. As part of these efforts, NIC disseminates information and recommendations in print and through an online portal. It also offers educational and technical assistance through SOCI’s “InterOptimability” Training Curriculum and Certification (ITCC). The idea is to explore best practices as a way of teaching partners how to make data more shareable and get the most out of the data warehouses with which they share it. NIC is less worried about the design of these data repositories and more concerned about how various agencies can access them by storing data in forms and formats that work with a variety of systems. In addition, NIC must address another significant challenge: privacy. According to the Health Insurance Portability and Accountability Act of 1996, public and private organizations that exchange personally identifiable information about clients must keep information confidential. State laws governing this data often are more stringent than federal laws. Stein says SOCI works with organizational leaders, attorneys and managers to identify the specific information they want to exchange, then craft agreements to meet the legal requirements. Solving these problems is a big deal because of what the solutions potentially can overcome: disparate health and human services organizations keeping data in silos. While a handful of previous interoperability efforts have involved outreach from health care to other sectors, NIC largely focuses on social services. Some information is medical in nature. Most of it, however, is not. This is by design. As Stein explains it, the program works hard to treat the whole person — not just singular aspects of a person’s health or well-being. 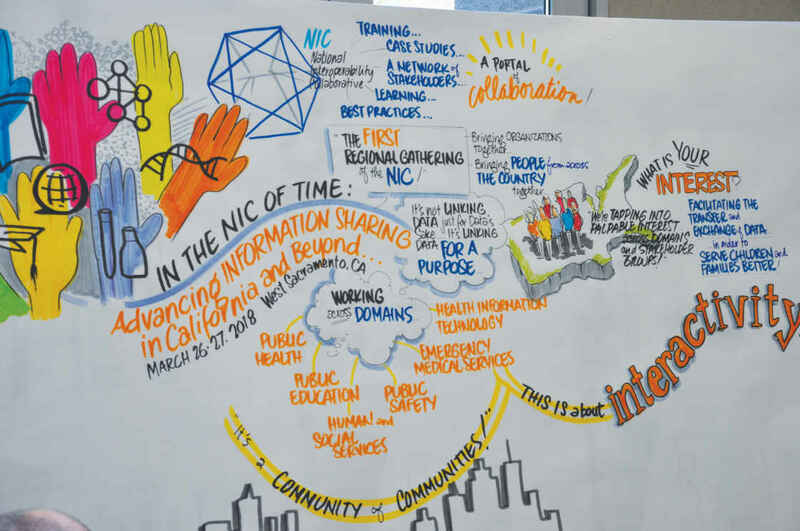 NIC also connects agency participants with seemingly unfettered access to a broad array of cutting-edge information, training, tools and best practices to enhance efficiency, save money, improve outcomes and advance their own interoperability goals. A Kresge grant supports an effort to improve collaboration among health and human services via better use of technology and information sharing. Or to put it another way: It’s a way to treat the whole person every time. The benefits of a system where providers have access to comprehensive information about an individual are many, including reducing stress and humiliation for those who must constantly prove eligibility to receive important services. “When a parent is seeking assistance for food, housing and child care, they have to submit paperwork at each of the agencies. A system that is integrated and interoperable can streamline the process and create an environment of support to help families thrive,” Fukuzawa adds. So far, NIC has identified three state agencies as partners: California, Connecticut and Virginia. A fourth partner, the Healthcare Information and Management Systems Society (HIMSS), joined the fold last year. One of the most successful projects to date has been the Silicon Valley Regional Data Trust (SVRDT) in northern California. The ability of the NIC approach to create person-centered systems is one of the reasons that Kresge supports this work, Fukuzawa adds. Independent of the grant, SOCI also has leveraged NIC for new models to better address public health-related crises such as lead-contaminated water in Flint, Michigan, or natural disasters such as Hurricane Katrina. Dubbed Health Emergency Linkages and Preparedness (HELP), the model was put together by HIMSS and SOCI and was the centerpiece of a Guidance Document and Action Plan that the two organizations announced and published last year. Participants in Stewards of Change Institute training conferences share vision and ideas that are drawn and connected in real time in panels that SOCI President Daniel Stein says provide a visual report and road map. Looking ahead, Stein says NIC will expand in a variety of directions. In the immediate future, the organization will double down on work with existing partners, helping California, Virginia and Connecticut in particular create what Stein calls “interstitial tissue” for increased collaboration. What’s more, NIC will line up more work that can be transferable to other jurisdictions down the road — specifically, legal work that pertains to data-sharing agreements. NIC also expects to expand its educational offerings, adding more workshops and training courses across the country. Further down the road, Stein expects funding for the NIC to continue to grow. Because Kresge came to the table early — and thanks in part to its participation — the project subsequently received additional funding from the Annie E. Casey Foundation, the Robert Wood Johnson Foundation, IBM and Microsoft. “Fundamentally, you have to do a lot of this stuff in parallel because, sequentially, it would take a lifetime, and that’s hard for systems that have limited money, time and bandwidth,” Stein says. “This is not a problem we can solve in weeks or months or even years. The work of our Human Services grantees to advance and accelerate social and economic mobility makes a difference for children, youth and families in America’s cities. As the social safety net continues to be threatened by efforts to dismantle it, the important work grantees do is essential to creating equitable opportunity for people with low incomes. The Human Services team has had the great privilege of working alongside Raquel Hatter this year, who joined our program as deputy director in early 2017 and brought with her more than 25 years of experience supporting adults, children and families as both a practitioner and administrator in the field of human services. We have been thrilled to share her expertise and insight with you. Human services organizations across our country continue to work creatively to advance social and economic mobility for individuals and families. This is why we were proud to launch the Next Generation of Human Services Organizations initiative this year recognizing 13 leading human services organizations for innovative approaches that positively influence social and economic mobility for their clients. The two-year program offers the organizations both a leadership model to give their teams room to grow and grant support to continue their work developing new service models that are person-centered, data-driven and collaborative. 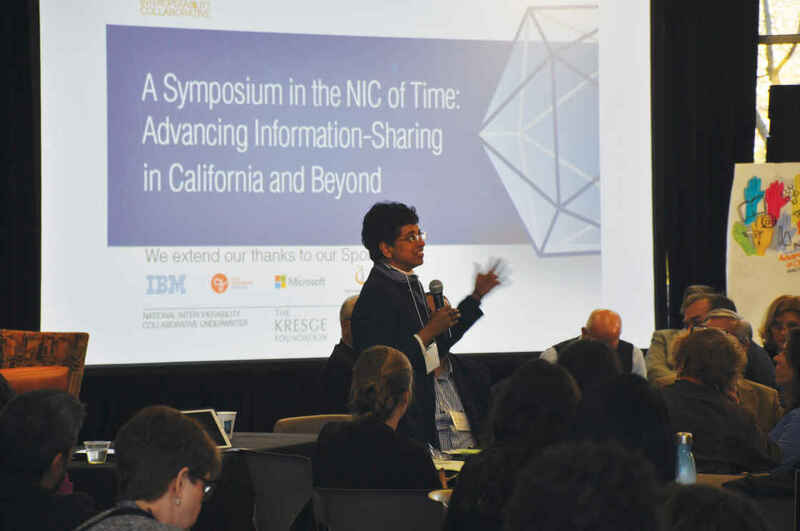 Additionally, we spent time this past year gathering fellow funders, public and private human services providers and experts in our field to explore how we can work together to best support both human services ecosystems in cities as well as policies that advance and accelerate social and economic mobility. These discussions were vigorous and informative and helped us continue to think strategically about how we can continue to support this changing field. Strategic thinking also took us to the future. This year we worked alongside the Institute for Alternative Futures to consider the preferred path for human services to take by the year 2035. We partnered with three states, two counties, three cities and leaders from human services organizations to think through the challenges and opportunities the sector will face. We look forward to sharing these resources with you in 2018. Also, our team continued to grow throughout the year with the addition of Senior Program Officer Joelle-Jude Fontaine in fall 2017. A welcome addition, Joelle-Jude is providing expertise and guidance to grantees of our Next Generation of Human Services Organizations initiative. Additionally, Sandra McAlister Ambrozy now serves as a senior fellow in the foundation’s executive office and we will continue to enjoy her partnership in her new role of expanding support for civil legal aid. Social Investment PracticeHomeless in L.A. They sleep in parks and on sidewalks. They wrap themselves in blankets in store entrances and tattered sleeping bags in Metro stations. They huddle in tents and rest exposed on cardboard mats on Skid Row. They’re the homeless of Los Angeles, California, a marginalized population that grew by an eye-popping 75 percent from 2011 to 2017. At 57,000 and counting, L.A.’s unsheltered community is the second-largest among U.S. cities, behind only New York. In fact, homelessness in America would have fallen in 2017 if Los Angeles had been left out of the equation. Instead, the nationwide numbers grew by about 1 percent — the first spike in homelessness in the U.S. since 2010. It was so bad in L.A. that city officials earlier declared a state of emergency on homelessness, describing the situation as “unprecedented and growing.” Multiple factors — a housing shortage, skyrocketing rents, job losses and lack of federal and state safety nets among them — have contributed to the crisis. Taking action, Kresge partnered with several California-based funders to help the city stem the tide. The foundation’s approach has been strategic, innovative and focused on the system. Many people who find themselves living on the streets face complex sets of challenges that both cause homelessness and keep them trapped in a cycle of poverty and despair: mental and physical health, substance abuse and lack of access to government services are among the most common. 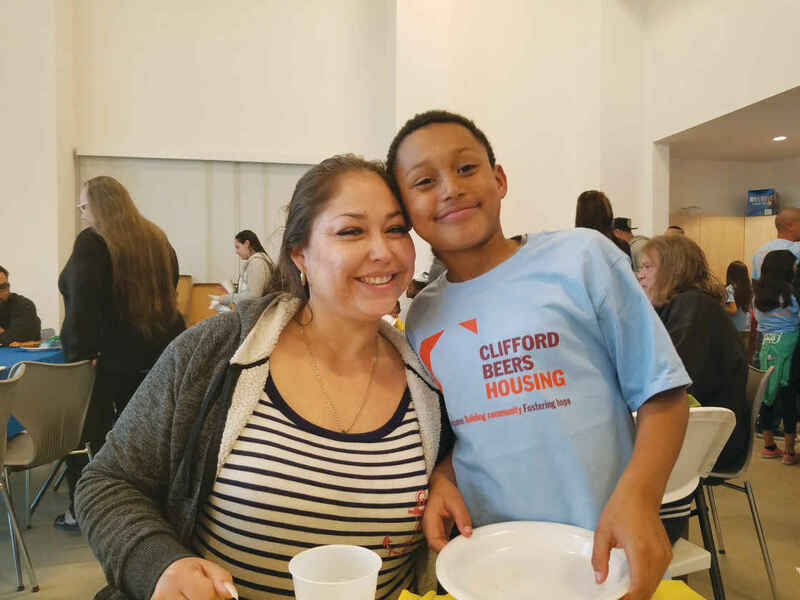 Clifford Beers Housing is among several organizations developing permanent supportive housing in southern California that receive funding through California Community Foundation and CSH. Attacking all of those problems at once comports with Kresge’s increasing emphasis on cross-disciplinary approaches to solving social problems. 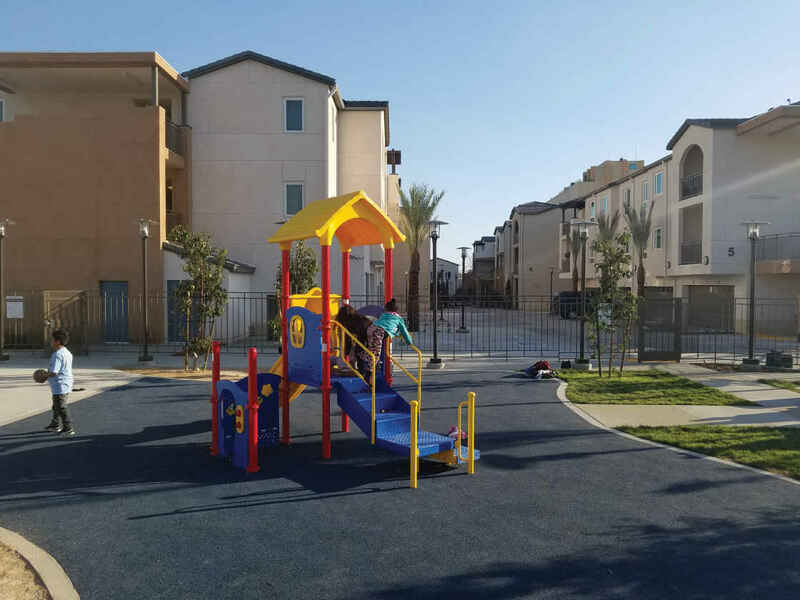 Kresge is a major partner in a unique, multipronged initiative designed to triple the number of permanent supportive housing units — homes that also provide support services to help people succeed on their own — built in Los Angeles each year. The foundation brought its expertise in health, human services, housing and social investments to the table when it joined the already established Accelerating Permanent Supportive Housing Initiative. The California Community Foundation (CCF), the Conrad N. Hilton Foundation, the Weingart Foundation and the City of Los Angeles kicked off the initiative, along with various nonprofit lenders and developers, in May 2016. Kresge joined shortly after. The goals are twofold: improving outcomes and reducing costs to tackle homelessness. 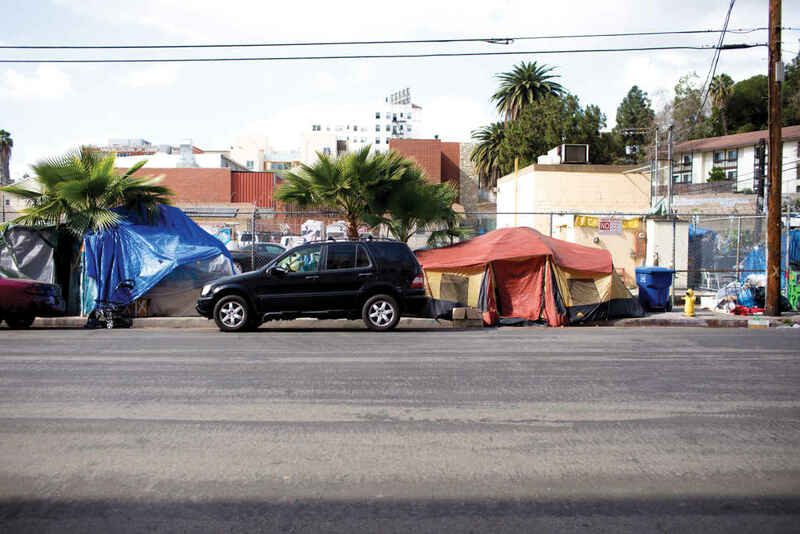 Encampments are common in Los Angeles, where the homeless population has drastically increased since 2011. The partners have committed a combined $63 million to a revolving loan fund (a self-replenishing pool of money that uses interest and principal payments on old loans to issue new ones) to build 1,000 new permanent supportive housing units each year, more than tripling the previous build rate. Kresge’s contribution includes a $1 million, three-year grant — as well as a $6 million program-related investment — to provide “on the ground value that will have a catalytic effect,” says Kimberlee Cornett, managing director of Kresge’s Social Investment Practice. A major benefit of Kresge’s participation is that it “helps us leverage capital from more traditional sources,” says Brigitt Jandreau-Smith, chief lending officer at CSH (formerly known as the Corporation for Supportive Housing), whose mission is to use housing as a platform to improve lives and communities while maximizing public resources. “And it helps us to create a longer-term plan” than would otherwise be the case. PATH Executive Director Amy Anderson at a construction site for new supportive housing. The initiative provides capital so nonprofit developers can start work on 10 to 15 new developments each year. Loans are made by CSH through its Supportive Housing Loan Fund. The $6 million loan from Kresge supports that fund, as well as catalyzing investment from donor-advised funds (DAFs) held at CCF. DAFs enable donors to make charitable contributions for which they receive an immediate tax benefit. The funds work similar to a health savings account in that donors contribute as often as they wish and advise where and when the money should be deployed. DAF dollars are traditionally awarded as grants. However, Kresge’s Social Investment Practice team has worked to encourage more such investors to use their money as impact investments, allowing the host to generate returns and recycle those funds for use again and again. There is a difference between permanent supportive housing and low-income housing. The latter is for people who have basic supports in place like jobs, help from family and access to medical and mental health care. Clifford Beers Housing built the Holt Family Apartments permanent supportive housing community in Pomona, California. Features include outdoor space, a playground, basketball court, community gardens and case management staff. By contrast, permanent supportive housing is “designed primarily for people with long histories of homelessness due to persistent obstacles like serious mental illness, substance use disorders or chronic medical problems,” according to CSH. Such housing is designed for residents who might otherwise cycle in and out of shelters, emergency rooms and publicly funded mental health care services, which places a heavy burden on those facilities and taxpayers. In general, people living in supportive housing are assigned a caseworker, employed by the city at a ratio of one to every 25 units of housing. The caseworker helps residents access health care, seek counseling and obtain government benefits, such as Social Security Income, food assistance and other supports. “There is data showing this type of housing leads to health improvements as well as cost savings in the public health system,” Cornett says. There has already been success in L.A. The initiative has 1,000 units of supportive housing in the pipeline, and thousands of formerly homeless residents now have places to live as well as access to mental health and substance abuse treatment. Meanwhile, CCF was able to raise $4 million from their DAF account holders to partially replace the Kresge capital. As a result, CCF is repaying $1.5 million of its loan early — and serving as a great example of how Kresge’s resources can be leveraged to attract other capital. “As individuals and families learn that DAFs can also be used as a source of investment (as opposed to only grantmaking), large amounts of philanthropic capital can be unlocked for socially beneficial purposes,” says Fred Karnas, senior fellow and head of Kresge’s internal housing workgroup. Such loans are an approved use of DAFs, but are not often employed by community foundations. Here is where Kresge’s innovative approach comes into play. For the Los Angeles initiative, the funds are drawn to make low-interest loans to nonprofit developers. Loans make the money “go further and be more impactful,” Cornett says. When the loans — which carry below-market interest rates — are paid back, the donors can then use the proceeds to direct grants to their favorite charities, including those involved in solving homelessness. A host of nonprofit developers are working on projects across L.A., such as A Community of Friends, Clifford Beers Housing, LINC Housing, Los Angeles Family Housing, Mercy Housing California, New Directions for Veterans, PATH Ventures, the Skid Row Housing Trust and the SRO Housing Corp. Along with other interested developers, they can apply for loans through CSH. “Nonprofit developers were very nervous” about the potential risk, says Ann Sewill, CCF vice president of health and housing. Kresge’s participation helped ease their minds, not only because of the money it provided, but also because it amounted to a stamp of approval from a major, national foundation. 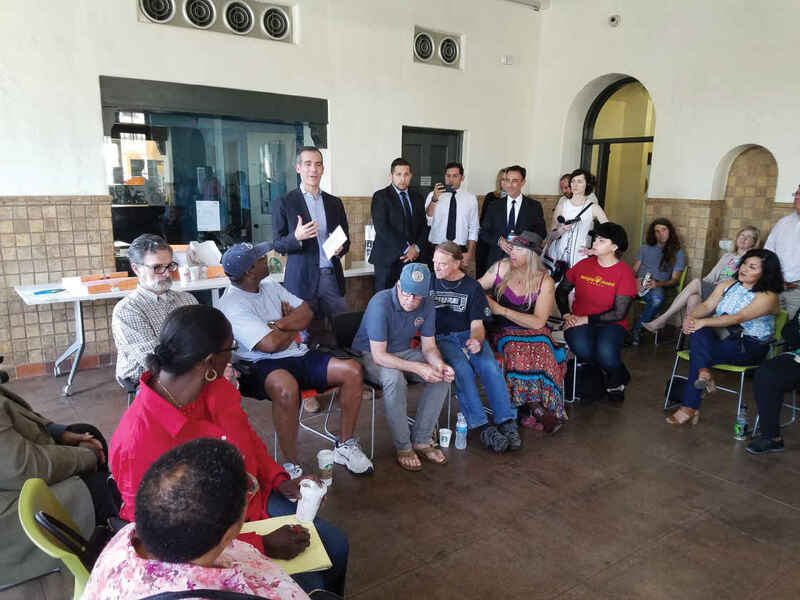 L.A. Mayor Eric Garcetti meets with neighborhood council leaders at the award-winning 28th Street Apartments, an adaptive re-use of an historic YMCA, owned and operated by Clifford Beers Housing. “Kresge is both an investment partner and a thought partner,” Sewill says. Developers can also seek grants from United Way’s Home for Good Funders Collaborative. Those are meant to cover the cost of site acquisition, drawing up building plans and getting construction and zoning approvals from the city. As part of the initiative, the city’s planning and housing departments are streamlining approvals for the nonprofit developers. Kresge’s participation brings another benefit to the program: It attracts participation from other organizations and financing institutions. “A national foundation of Kresge’s reputation helps push the policy agenda forward,” Sewill says. And what Kresge is doing in L.A. can serve as an example in other regions dealing with similar issues. “Our work in Los Angeles holds the potential to develop new models for other cities struggling to address the challenges of large populations of chronically homeless residents,” Karnas says. Around the holidays, a mother and her children moved into a new home. They were the first family to occupy a newly created Section 8 housing unit in a blue-ribbon school district near Minneapolis. Under most circumstances, an apartment in that neighborhood would be financially out of reach for the family, save for an innovative program of the National Housing Trust (NHT). Backed by a $6 million Kresge program-related investment that closed in 2017, NHT buys and renovates apartments in middle-income neighborhoods and makes 20 percent of the units available to Section 8 voucher holders. Why? Because research shows when low-income children move into high-opportunity neighborhoods, their life outcomes flip. Sometimes in social investing, it’s hard to connect the dots between complex deals and personal impact. But eventually, as purpose-driven capital moves from financial entities into communities, it brings opportunity to real people. Debuted the “Mission, Money & Markets” blog where our team and partners from the field share lessons learned. We also saw $7.6 million in principal and interest repayments flow back into the foundation. That’s a lot of capital we can recycle for other charitable purposes. And there’s plenty of need to direct those resources toward. People across the country require affordable housing, small business funding and access to healthy food and health centers more than ever. Meanwhile, the community development finance system that makes many of these programs possible is increasingly at risk as a result of federal policy changes. I don’t know the name of that mother, or her full story. She undoubtedly has no idea of the role Kresge might have played in her life. That’s OK. I just hope she’s thriving. That her children are enjoying their new school. That their community has opened its arms to her family. And that Kresge can keep investing dollars to make more stories like this possible. Please stay connected by subscribing to our weekly newsletter and by following us on social media.